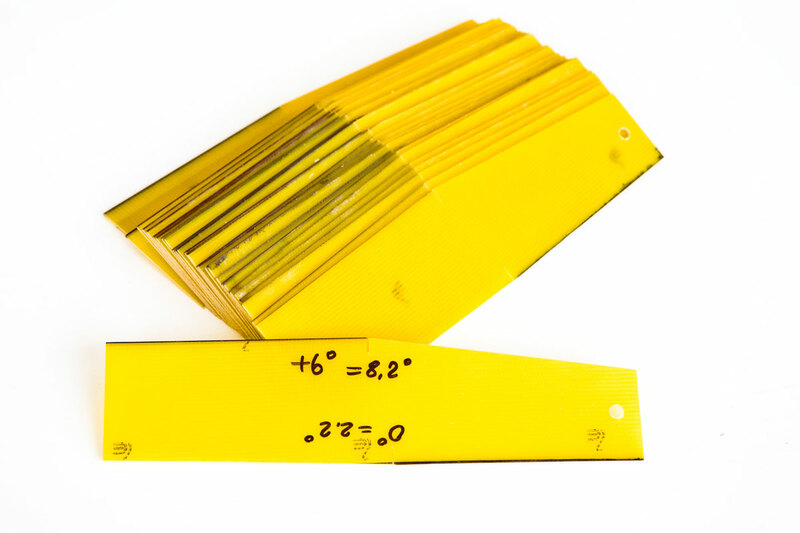 You can also purchase set of two (1 и 2 ) ready-made templates out of fiberglass. 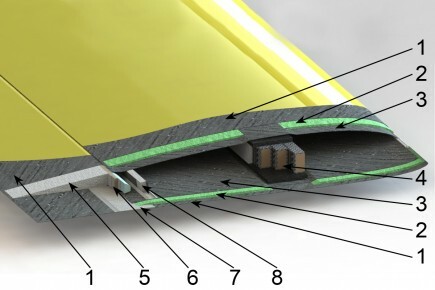 Wing joiners with an angle of 7°. Wing joiners with an angle of 5°. 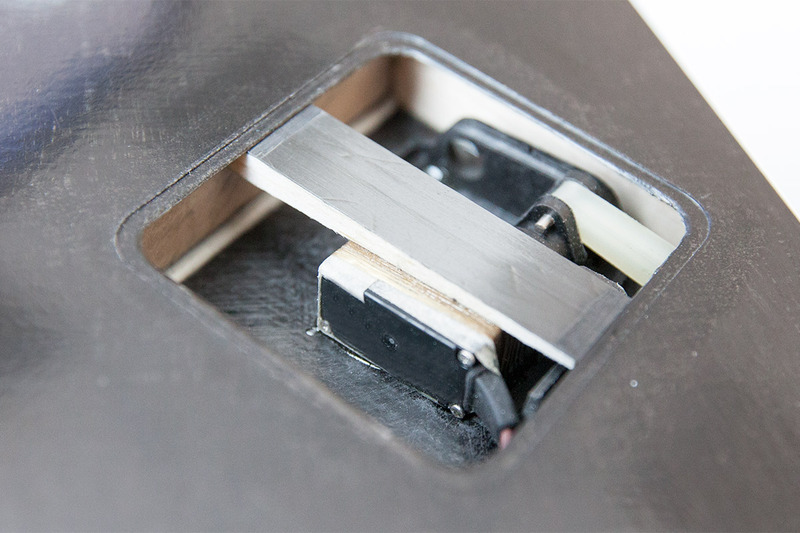 Weatronic Micro 8 Dual Receiver 2.4 Dual FHSS. 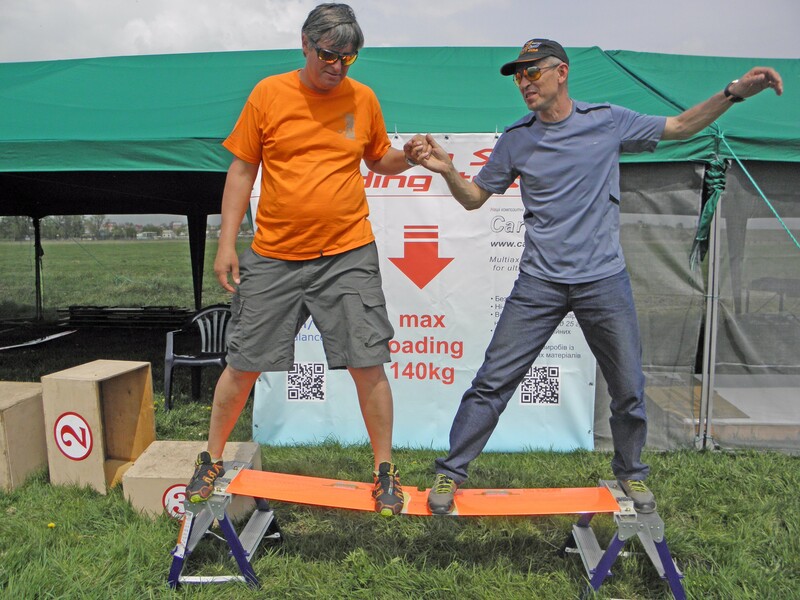 It allows you to adjust the weight of the model is very smooth. 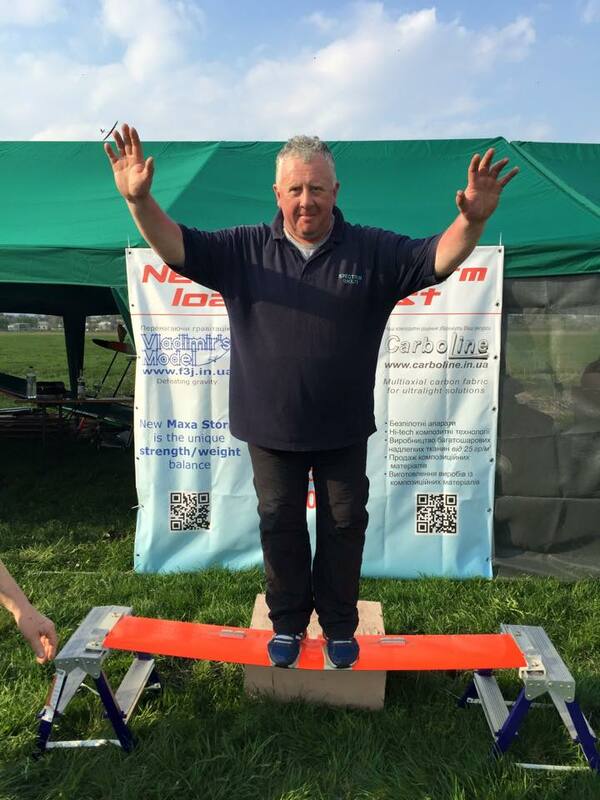 The main advantage of this ballast is that the smaller weight you want to put, the smaller will be the effect of ballast on the longitudinal controllability of model. 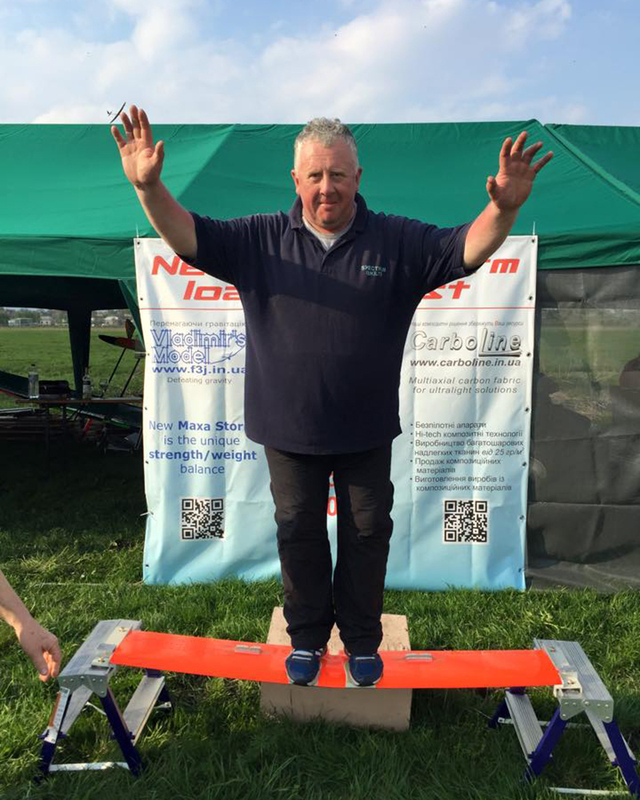 The moment of inertia of the PRO ballast would be eight times less! 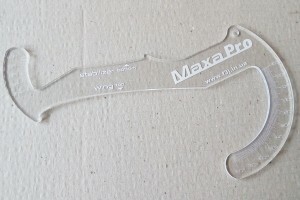 Maxa IDS Type 11 B Lager for flaps set consists of: servoframe IDS Type 11 B Lager - 2pcs; different sizes horn set for servo - 2 sets; rods for the flaps (length 74.5 mm) - 2 pcs; screws for fix the servo to the frame - 4 pcs; ball bearings - 2 pcs; shaft D=1.5 mm for connection to the flap horn - 2 pcs; shaft D=1.5 mm for connection to the servo horn - 2 pcs; flap horn (with 1.5 mm hole) - 2pcs; carbon cap strip for servo fixing to the wing bottom surface – 2 pcs. 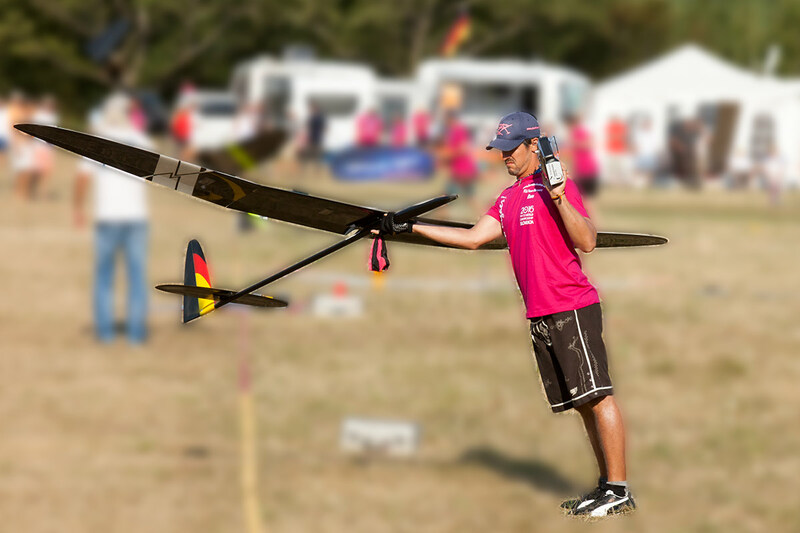 Compartible with servo: Graupner DS 3288, JR DS 171, JR DS 179 HV, JR DS 189 HV, JR DS 378, JR DS 398. 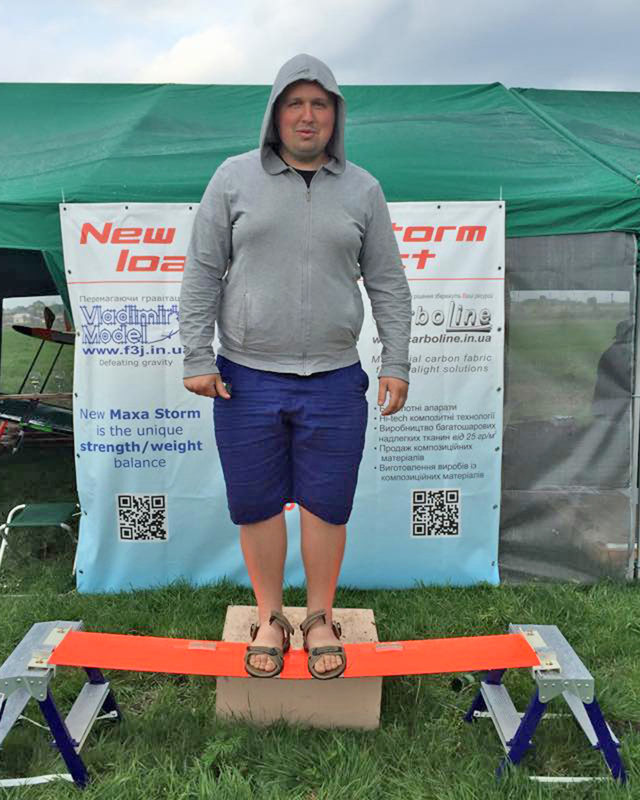 Weight of each servo set 22.4 gr. 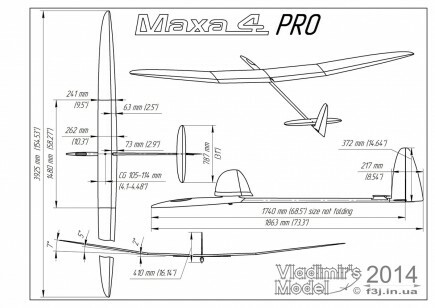 Maxa IDS Type 11 B Lager for ailerons set consists of: servoframe IDS Type 11 B Lager - 2pcs; different sizes horn set for servo - 2 sets; rods for the ailerons (length 66 mm) - 2 pcs; screws for fix the servo to the frame - 4 pcs; ball bearings - 2 pcs; shaft D=1.5 mm for connection to the aileron horn - 2 pcs; shaft D=1.5 mm for connection to the servo horn - 2 pcs; aileron horn (with 1.5 mm hole)- 2pcs; carbon cap strip for servo fixing to the wing bottom surface – 2 pcs. 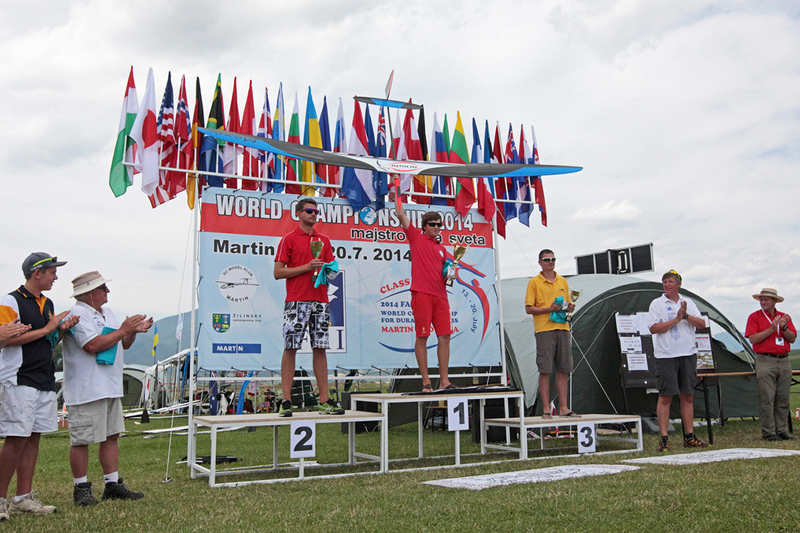 Compartible with servo: Graupner DS 3288, JR DS 171, JR DS 179 HV, JR DS 189 HV, JR DS 378, JR DS 398. 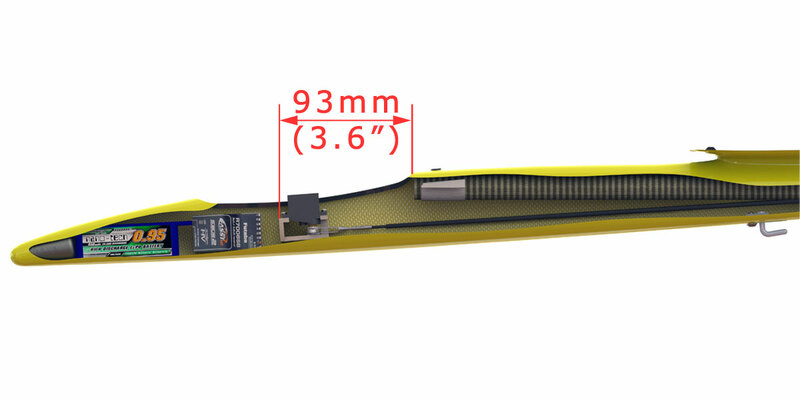 Weight of each servo set 21.4 gr. 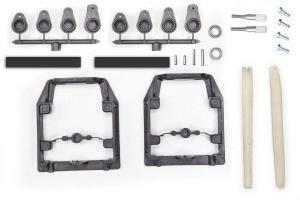 Maxa Storm IDS Type 11 B Lager for flaps set consists of: servoframe IDS Type 11 B Lager - 2pcs; different sizes horn set for servo - 2 sets; rods for the flaps (length 66 mm) - 2 pcs; screws for fix the servo to the frame - 4 pcs; ball bearings - 2 pcs; shaft D=1.5 mm for connection to the aileron horn - 2 pcs; shaft D=1.5 mm for connection to the servo horn - 2 pcs; flap horn (with 1.5 mm hole) - 2pcs; carbon cap strip for servo fixing to the wing bottom surface – 2 pcs. 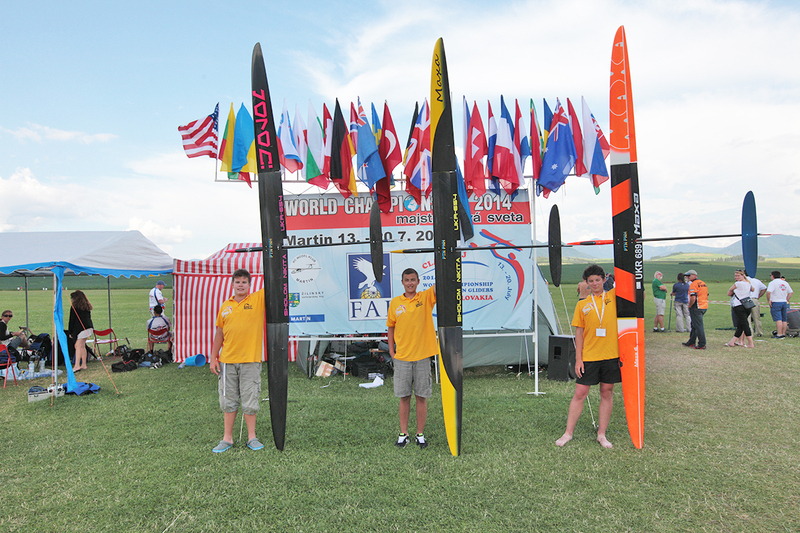 Compartible with servo: Graupner DS 3288, JR DS 171, JR DS 179 HV, JR DS 189 HV, JR DS 378, JR DS 398. 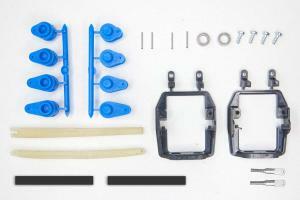 Weight of each servo set 21.4 gr. 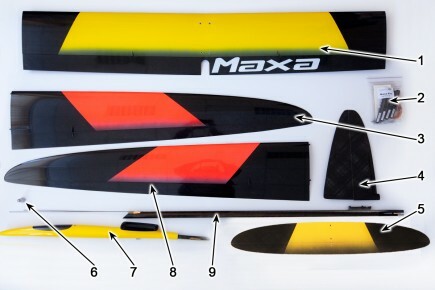 Maxa Storm IDS Type 11 B Lager for ailerons set consists of: servoframe IDS Type 11 B Lager - 2pcs; different sizes horn set for servo - 2 sets; rods for the ailerons (length 66 mm) - 2 pcs; screws for fix the servo to the frame - 4 pcs; ball bearings - 2 pcs; shaft D=1.5 mm for connection to the aileron horn - 2 pcs; shaft D=1.5 mm for connection to the servo horn - 2 pcs; aileron horn с отверстием 1.5 mm- 2pcs; carbon cap strip for servo fixing to the wing bottom surface – 2 pcs. 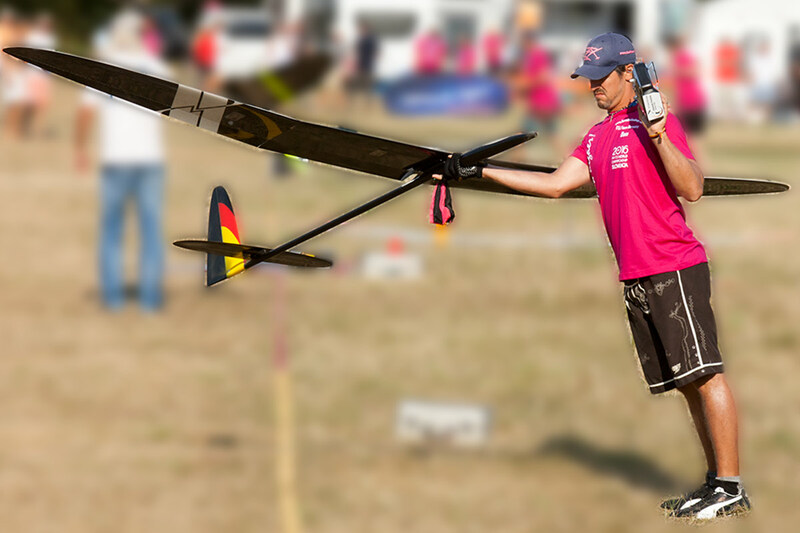 Compartible with servo: Graupner DS 3288, JR DS 171, JR DS 179 HV, JR DS 189 HV, JR DS 378, JR DS 398. 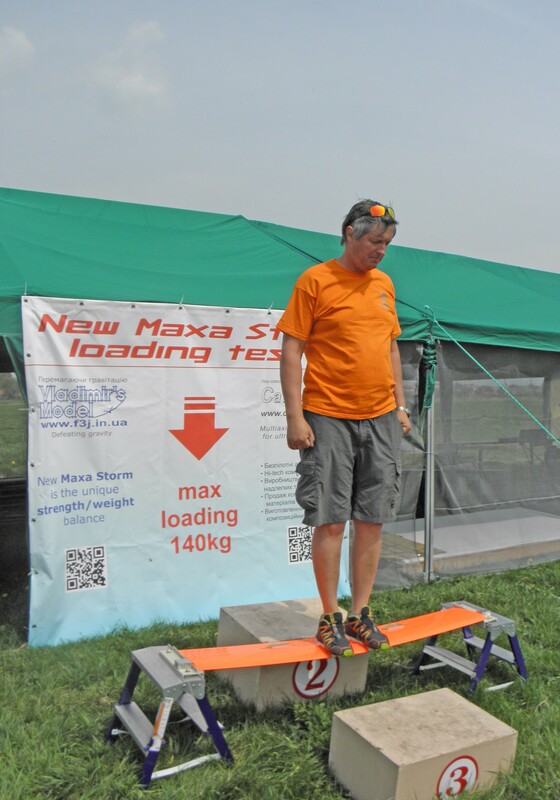 Weight of each servo set 21.4 gr. 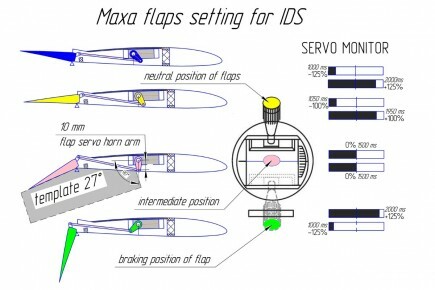 Maxa IDS Type Robbe 3173 for flaps set consists of: servoframe IDS Type Robbe 3173 - 2pcs; servo horns Robbe S 3173 Svi разных размеров - 2 sets; rods for the flaps (length 74,5 mm) - 2 pcs; screws for fix the servo to the frame - 4 pcs; ball bearings - 2 pcs; shaft D=1.5 mm for connection to the aileron horn - 2 pcs; shaft D=1 mm for connection to the servo horn - 2 pcs; aileron horn (with 1.5 mm hole) - 2pcs; carbon cap strip for servo fixing to the wing bottom surface – 2 pcs. 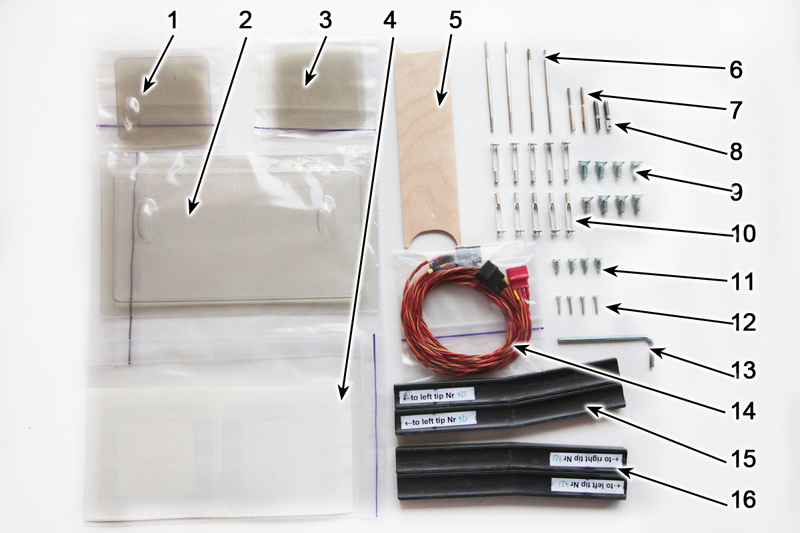 Weight of each servo set: 22.4 gr. 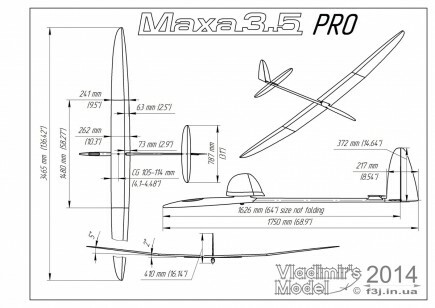 Maxa IDS Type Robbe 3173 for flaps set consists of: servoframe IDS Type Robbe 3173 - 2pcs; servo horns Robbe S 3173 Svi разных размеров - 2 sets; rods for the ailerons (length 66 mm) - 2 pcs; screws for fix the servo to the frame - 4 pcs; ball bearings - 2 pcs; shaft D=1.5 mm for connection to the aileron horn - 2 pcs; shaft D=1 mm for connection to the servo horn - 2 pcs; aileron horn (with 1.5 mm hole) - 2pcs; carbon cap strip for servo fixing to the wing bottom surface – 2 pcs. 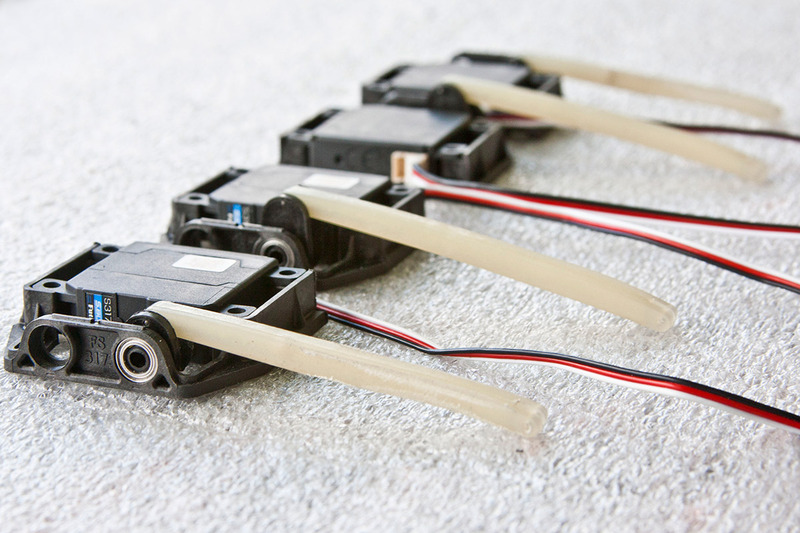 Weight of each servo set: 21.4 gr. 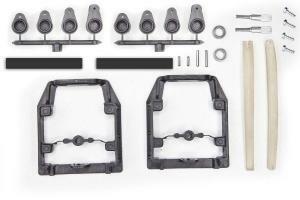 Maxa Storm IDS Type Robbe 3173 for flaps set consists of: servoframe IDS Type Robbe 3173 - 2pcs; servo horns Robbe S 3173 Svi разных размеров - 2 sets; rods for the flaps (length 66 mm) - 2 pcs; screws for fix the servo to the frame - 4 pcs; ball bearings - 2 pcs; shaft D=1.5mm for connection to the flap horn - 2 pcs; shaft D=1 mm for connection to the servo horn - 2 pcs; flap horn (with 1.5 mm hole) - 2pcs; carbon cap strip for servo fixing to the wing bottom surface – 2 pcs. 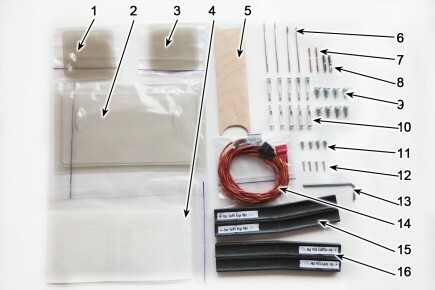 Weight of each servo set: 21.4 gr. 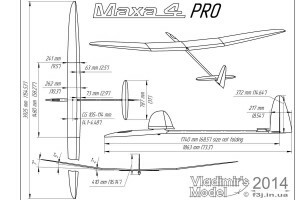 Maxa Storm IDS Type Robbe 3173 for ailerons set consists of: servoframe IDS Type Robbe 3173 - 2pcs; servo horns Robbe S 3173 Svi разных размеров - 2 sets; rods for the ailerons (length 66 mm) - 2 pcs; screws for fix the servo to the frame - 4 pcs; ball bearings - 2 pcs; shaft D=1.5 mm for connection to the aileron horn - 2 pcs; shaft D=1 mm for connection to the servo horn - 2 pcs; aileron horn (with 1.5 mm hole) - 2pcs; carbon cap strip for servo fixing to the wing bottom surface – 2 pcs. Weight of each servo set: 21.4 gr. 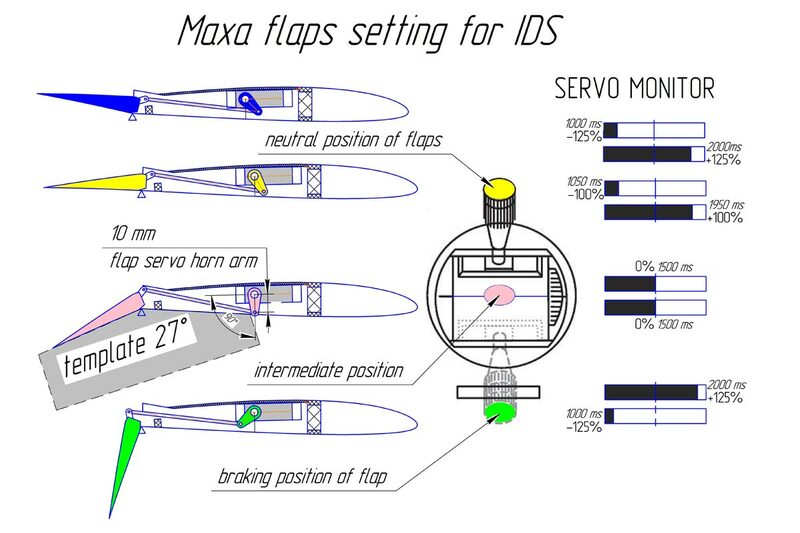 Maxa IDS Type MKS DS 6100 for flaps set consists of: servoframe IDS Type MKS DS 6100 - 2pcs; servo horns MKS DS6100 разных размеров - 2 sets; rods for the flaps (length 80 mm) - 2 pcs; screws for fix the servo to the frame - 4 pcs; ball bearings - 2 pcs; shaft D=1,5mm for connection to the flap horn - 2 pcs; shaft D=1 mm for connection to the servo horn - 2 pcs; flap horn (with 1.5 mm hole)- 2pcs; carbon cap strip for servo fixing to the wing bottom surface – 2 pcs. 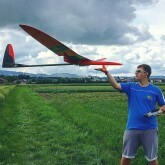 Compartible with servo: MKS DS 6100 Glider, HV 6100, DS 450, DS 470, DS 480. Weight of each servo set: 16.8 gr. 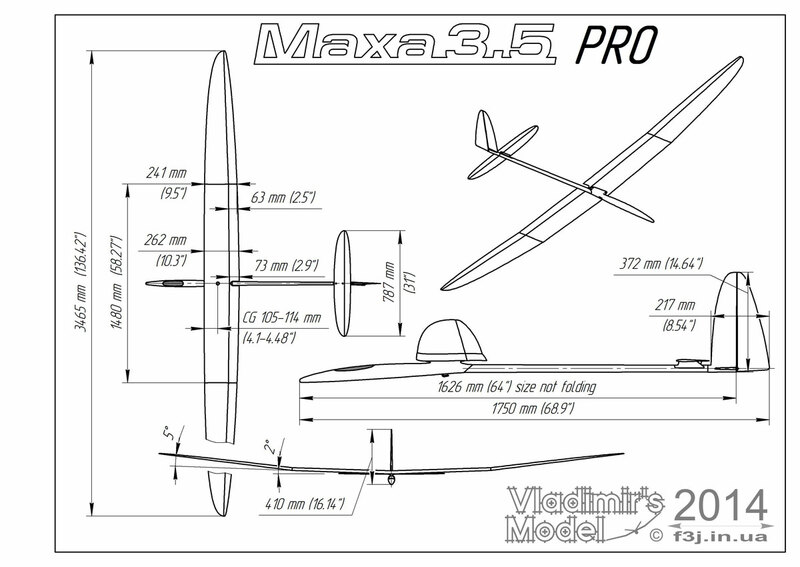 Maxa IDS Type MKS DS 6100 for ailerons set consists of: servoframe IDS Type MKS DS 6100 - 2pcs; servo horns MKS DS6100 разных размеров - 2 sets; rods for the ailerons (length 74,5 mm) - 2 pcs; screws for fix the servo to the frame - 4 pcs; ball bearings - 2 pcs; shaft D=1.5 mm for connection to the aileron horn - 2 pcs; shaft D=1 mm for connection to the servo horn - 2 pcs; aileron horn (with 1.5 mm hole)- 2pcs; carbon cap strip for servo fixing to the wing bottom surface – 2 pcs. 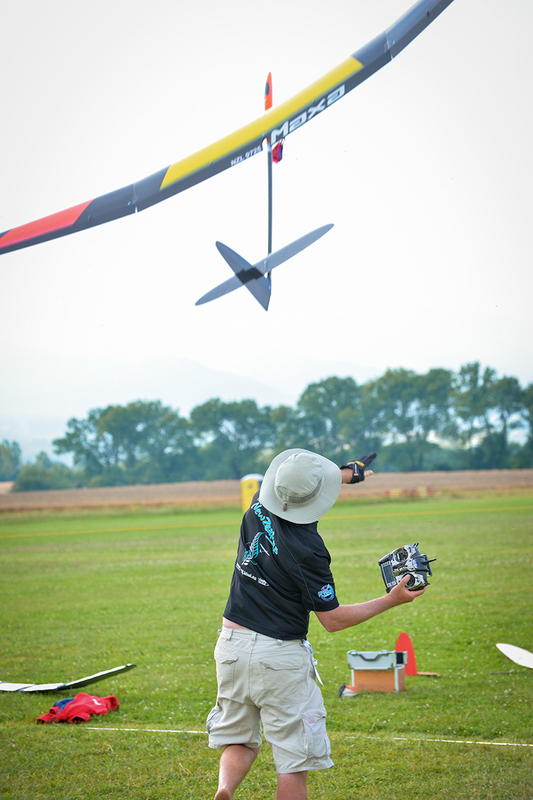 Compartible with servo: MKS DS 6100 Glider, HV 6100, DS 450, DS 470, DS 480. 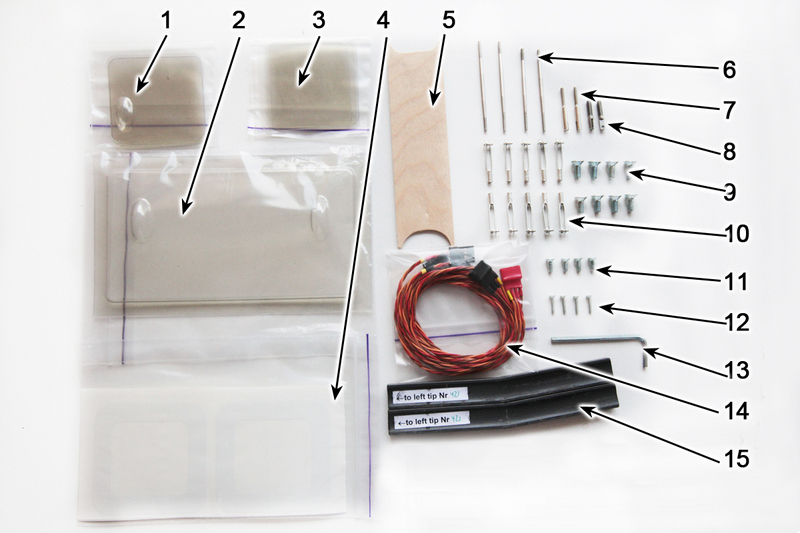 Weight of each servo set: 16.3 gr. 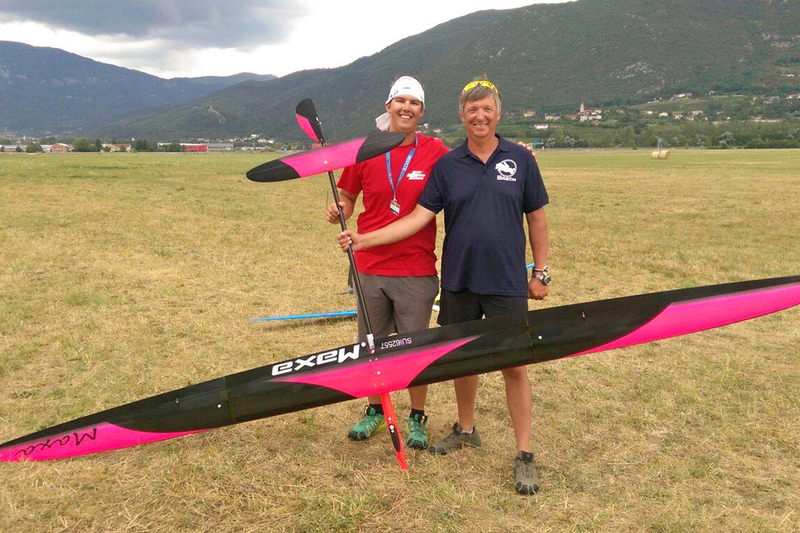 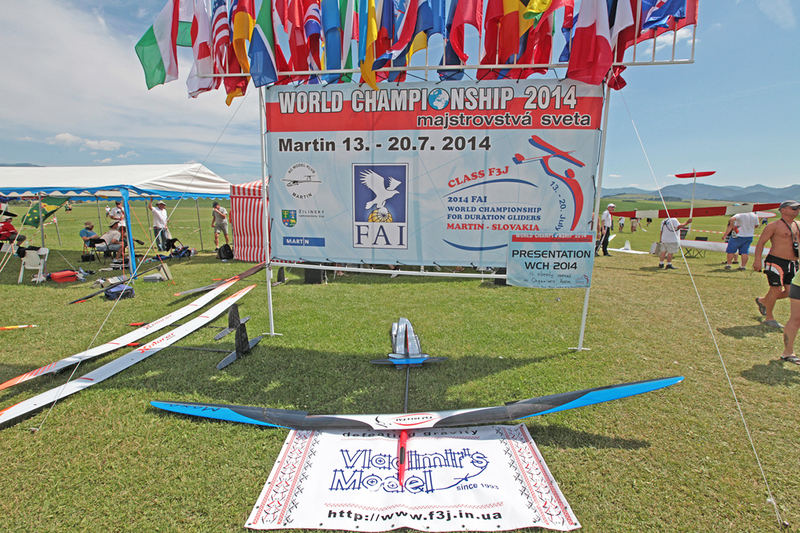 During our preparation for the F3J World Championship 2016 in Slovenia we have perfected flying characteristics and construction of all parts of Maxa model. 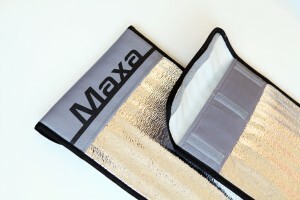 The result of our meticulous work is the new construction of Maxa wing. 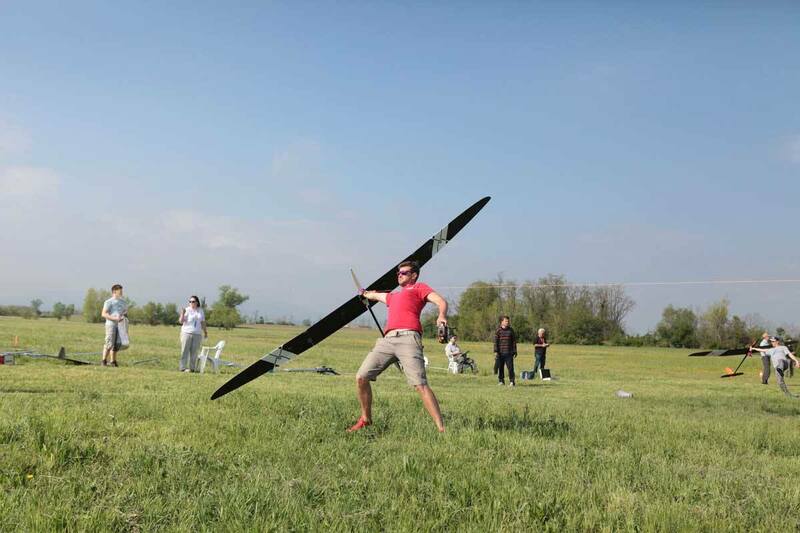 The aim of the renovation was the reduction of the weight, improvement of the durability and rigidity of the airframe. 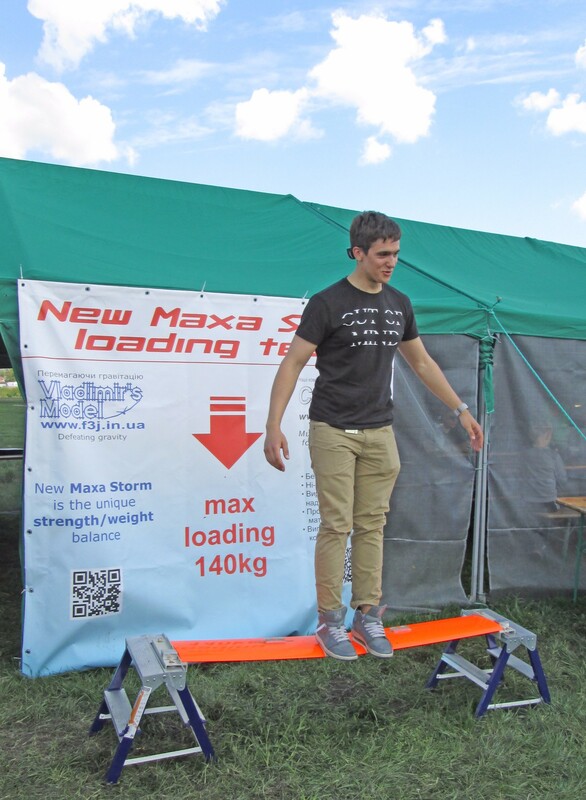 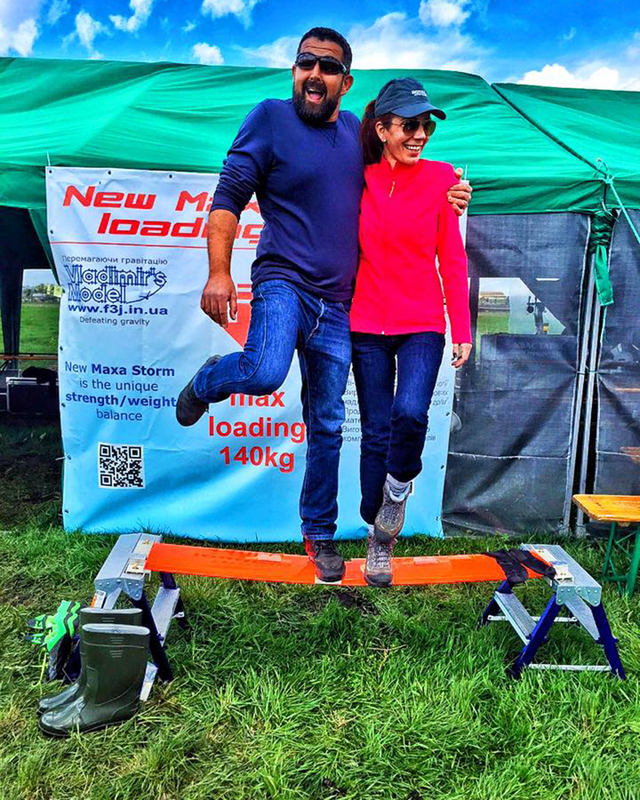 This new Maxa Pro versions were tested successfullyby New Zeeland, Germany and Ukrainian teams. 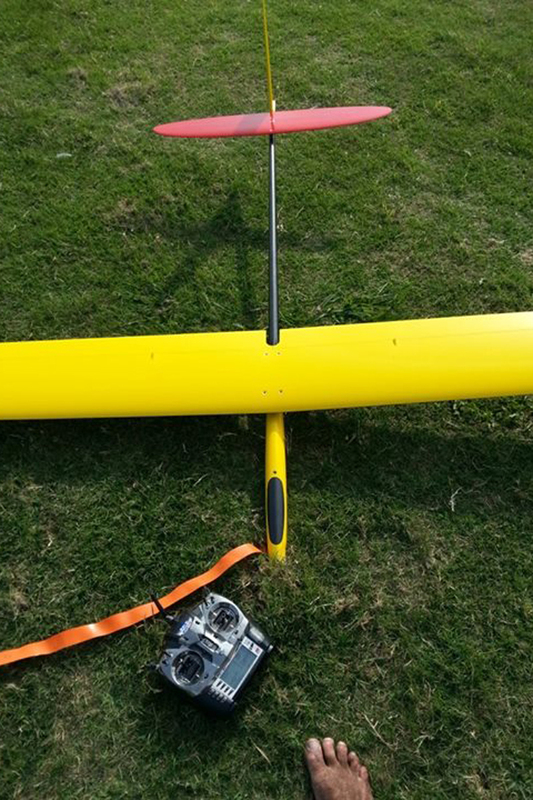 We make Ultra-High Module spar (HM) for expert pilot only. 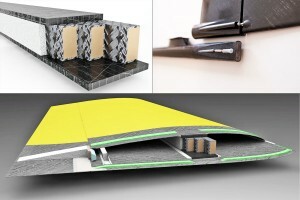 Such spar is 30% more rigid and it is 20% lighter due to the carbon fiber module and shear web construction. 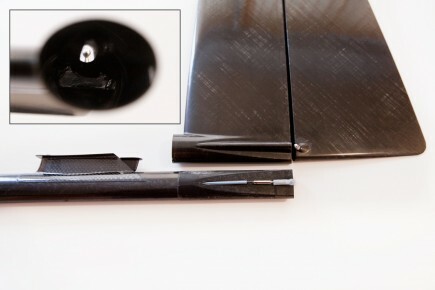 It must be remembered that although the ultra-high module carbon fiber has high strength, but it is very afraid of shock. Cracks, which were obtained from beats during tough landing, spread very quickly and it can cause an accident (in ultra-high module fibers). 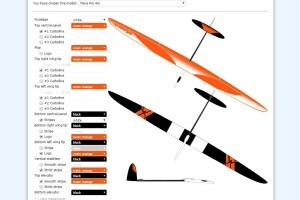 It is the new unique extra light and extra rigid glider. 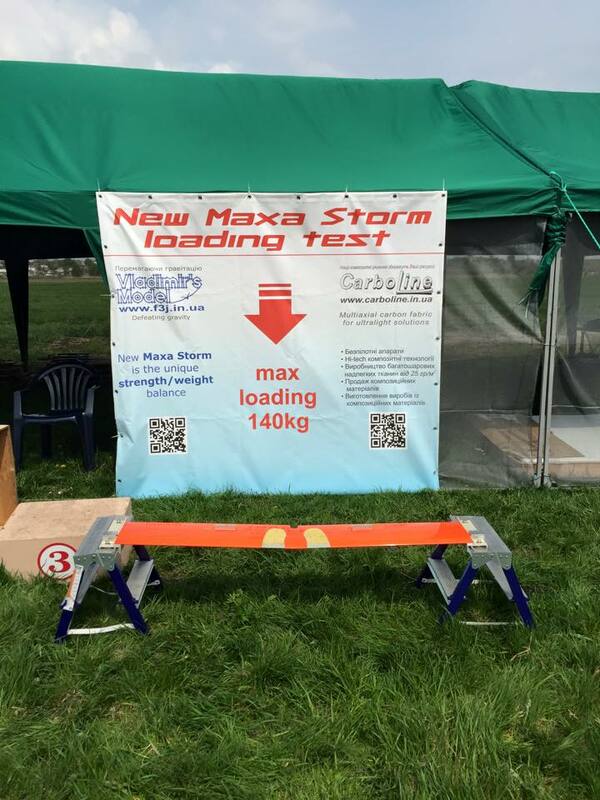 Lightweight construction of ultra-high modulus spar and very rigid light Rohacell core sandwich provide a high full power F3J ­launch at wind speed up to 4 m/s. 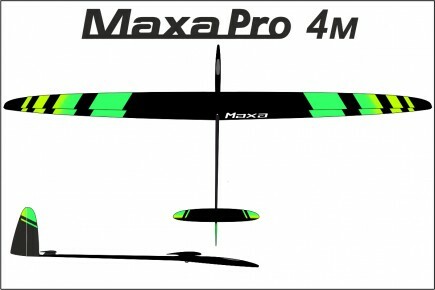 Flight weight is just from 1500 g for Maxa Pro HM light F3J and 1350 g for short version. Therefore it is able to handle even very weak thermal bubble. 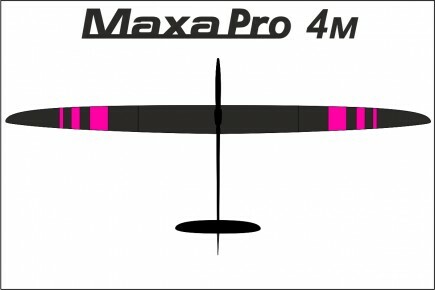 Due to the unique aerodynamics and contrary to light weight Maxa Pro HM Light F3J has excellent wind penetration. 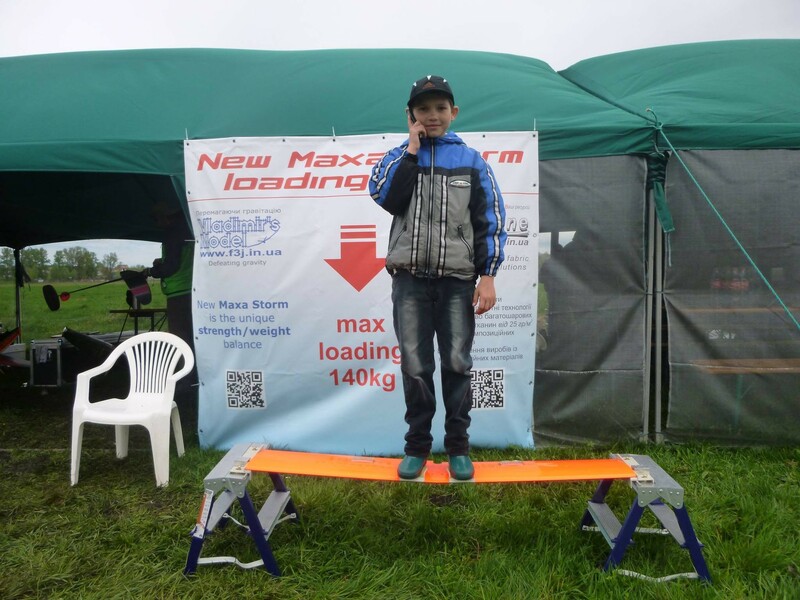 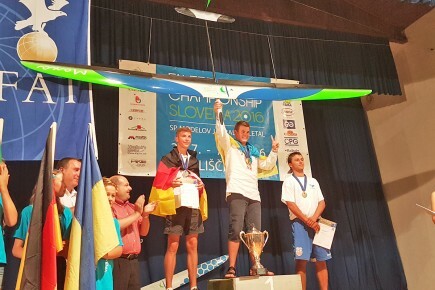 Nikita Sholom (Junior F3J World Champion 2016) and Dominik Prestele(3-d place in F3J WCh 2016) had used Maxa Pro HM Light F3J during all preliminary and final rounds. 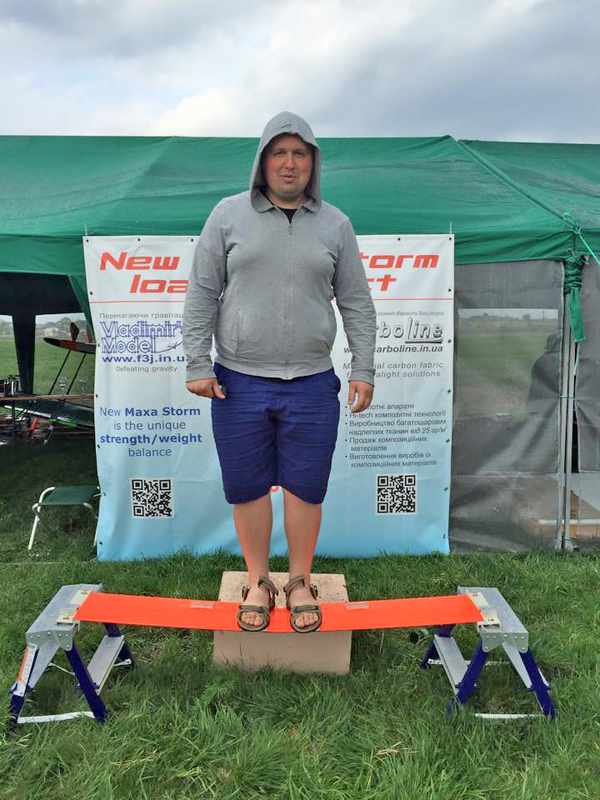 We have optimized the central panel spars of Маха 4 m Light HM F3J and Maxa 3.5 m Light HM F3J separately for same wind loading. 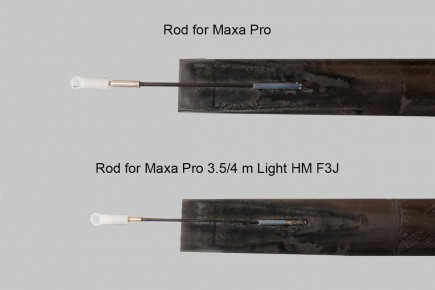 Therefore Maxa 3.5 m Light HM F3J is now even lighter. 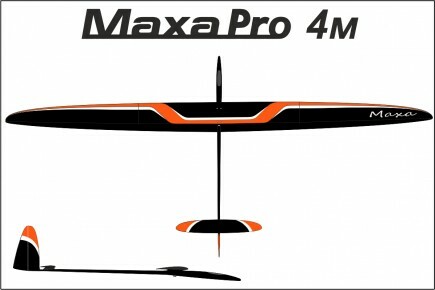 But you cannot use Maxa 3.5 m Light HM F3J central panel with Maxa 4 wing tips with full launch loading. 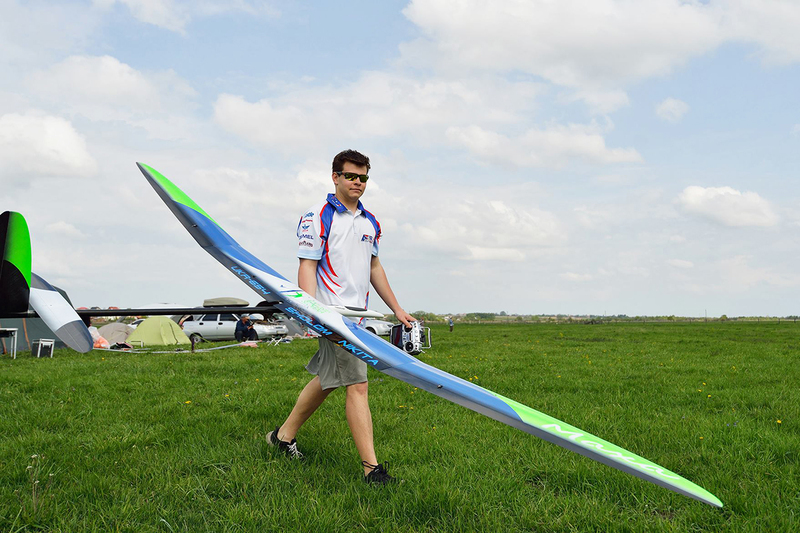 It is the new version of the all-weather glider. 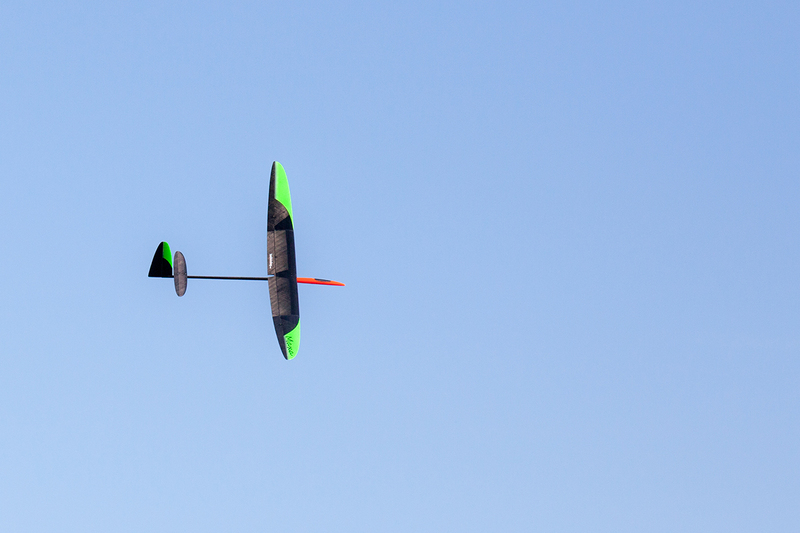 Ultra-high modulus spar minimizes flexure of the wing even with high F3J launch loading when windy condition. 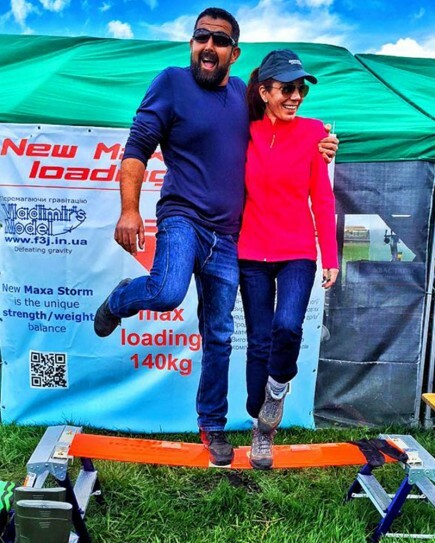 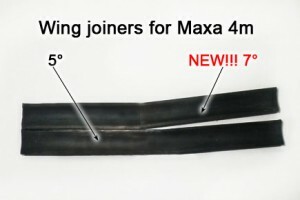 Wide wing joiner (11mm) provides additional stiffness of Maxa Pro 4 m Windy HM F3J. 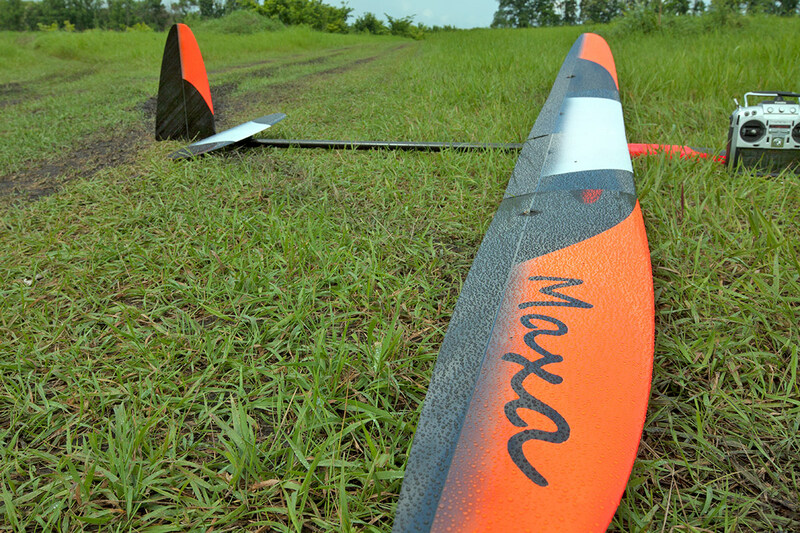 This unique rigidity of Maxa Windy HM F3J wing guarantees the highest launch with wind up to 8 m/s. 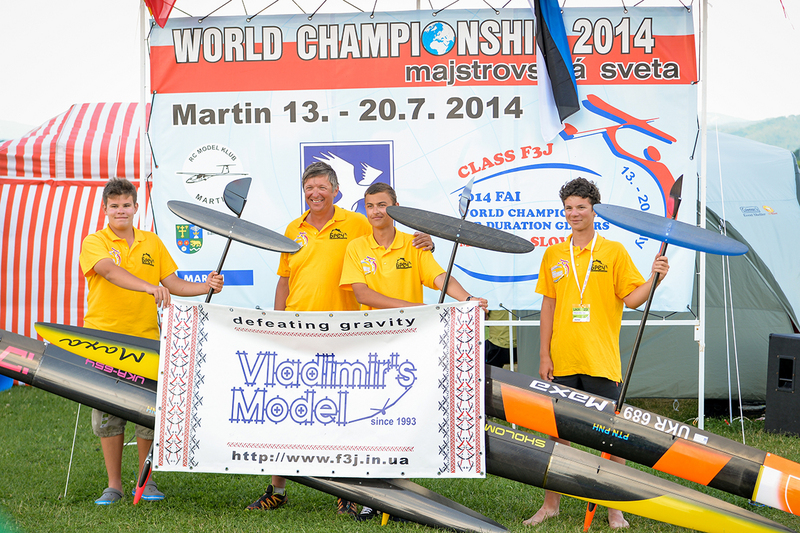 Strong and super light Maxa Windy HM F3J construction allows you to win even at float condition. 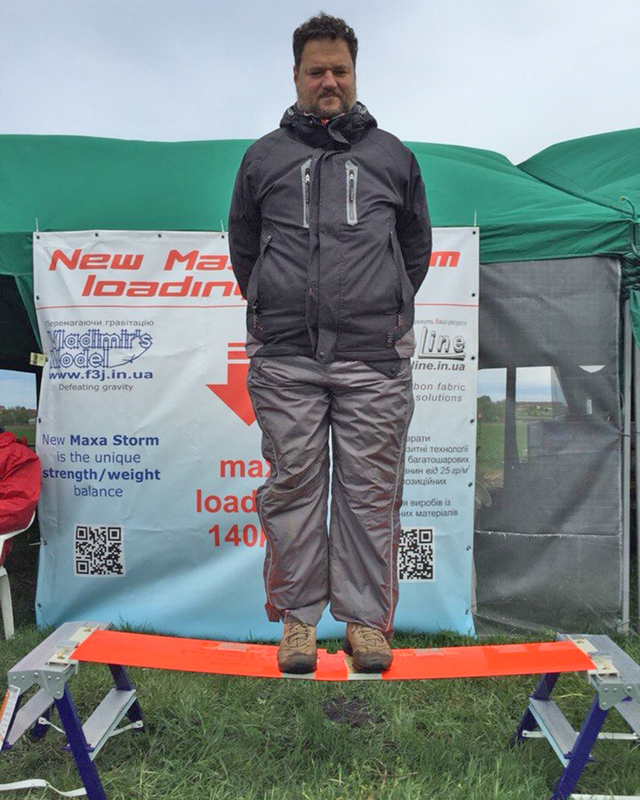 We have optimized the central panel spars of Маха Pro 4 m Windy HM F3J and Maxa Pro 3.5 m Windy HM F3J separately for the same wind loading. 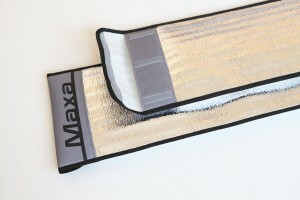 There for Maxa Pro 3.5 m Windy HM F3J is now even lighter. 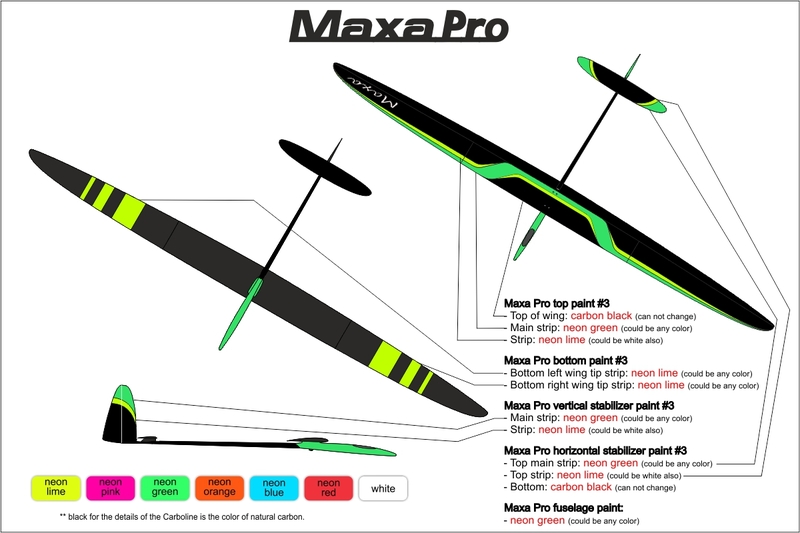 But you cannot use Maxa Pro 3.5 m Windy HM F3J central panel with Maxa 4 wing tips with full launch loading. 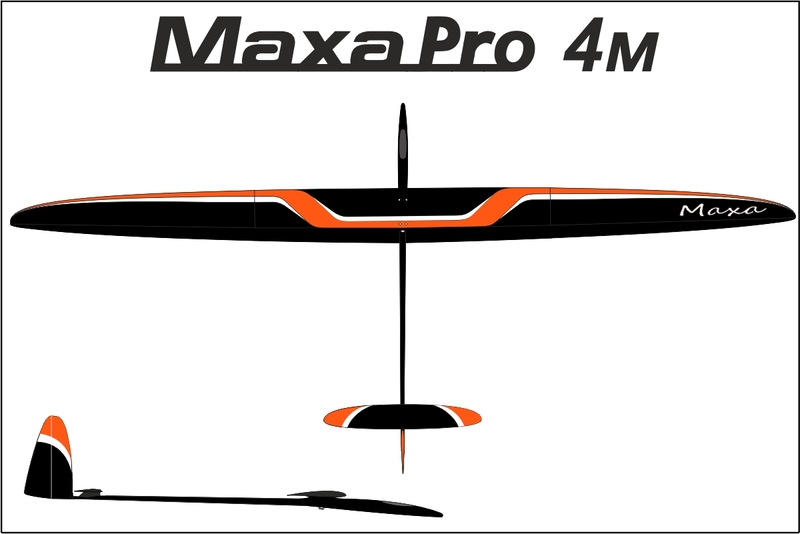 It is light version of ultra-strong Maxa Pro 4 Storm. 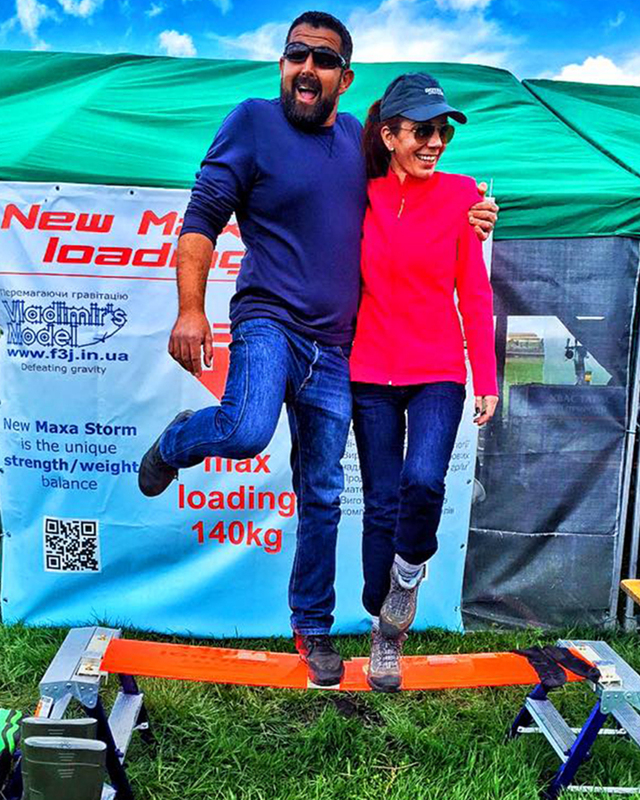 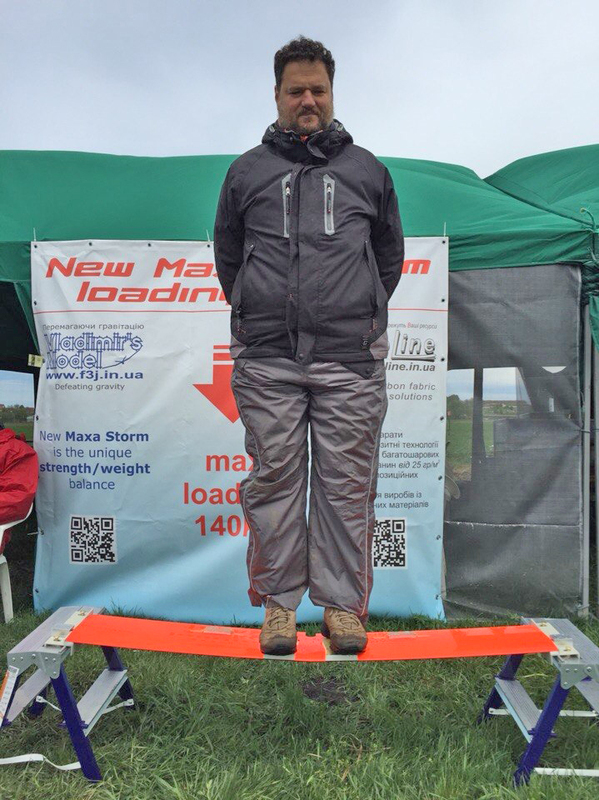 We use extra strong and rigid Maxa Pro 4 Storm spar with lighter sandwich for reduce the weight. 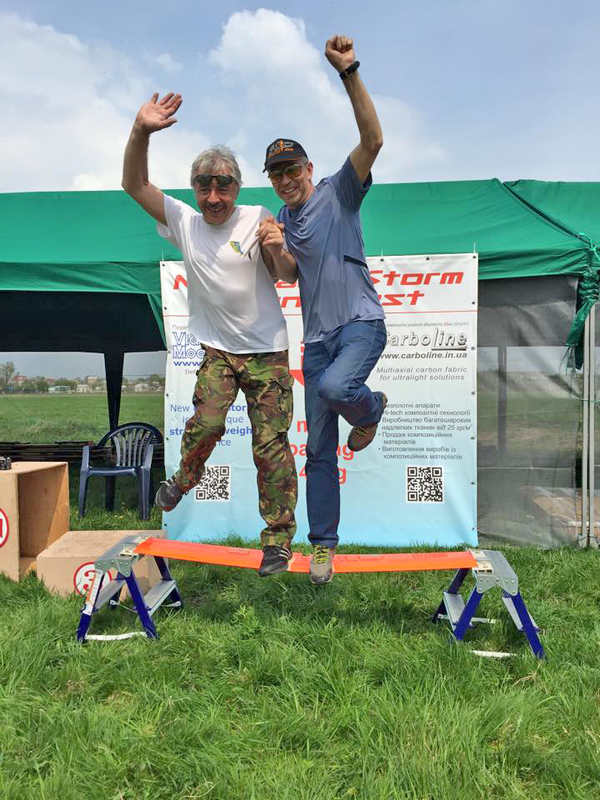 The glider is strong enough for the wind speed up to 11m / s. Flight weight from 2100 gr ensures sensitivity to thermals and better thermal handling. We install Maxa Pro HM Light F3J with lightweight tail rod systems. 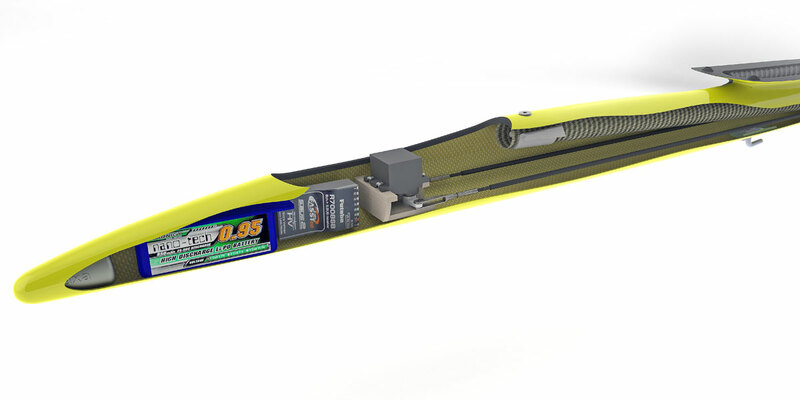 It saves an additional 10 g of weight and reduces the inertia of the fuselage. 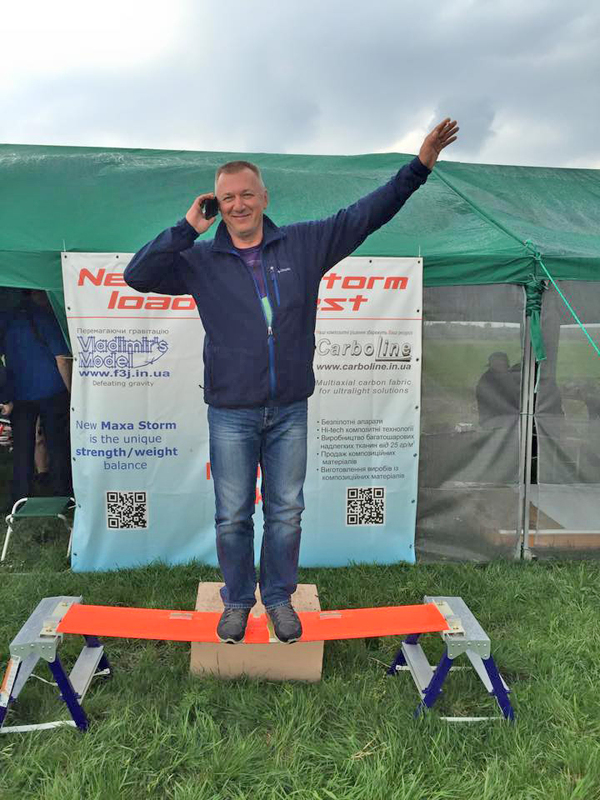 Inertia is very important for F3J landing and for handling light thermals. 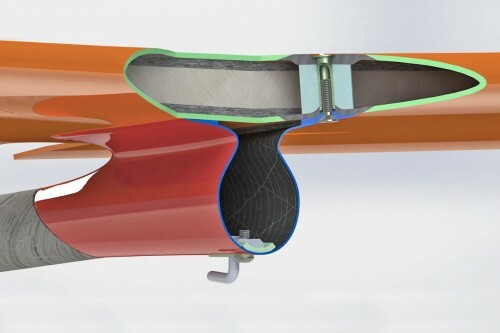 But you should pay extra attention to the tube fixation to the fuselage over the entire length, otherwise you will not get sufficient stiffness of the control system. 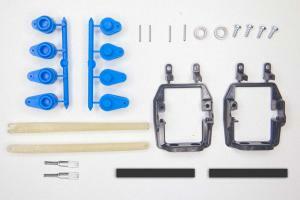 We recommend to use LDS servo frame for fuselage light servos for Maxa Pro HM Light F3J. 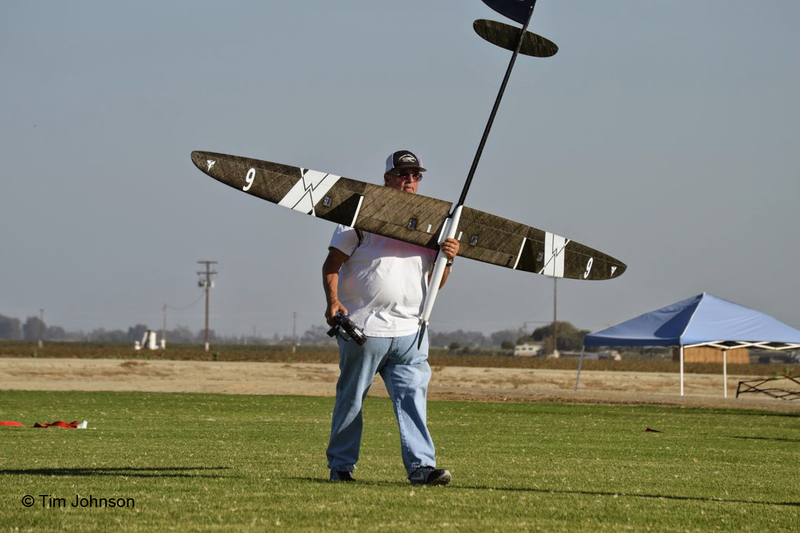 You will reduce model flight weight and fuselage inertia. It is very easy to install and very easy for servo service. 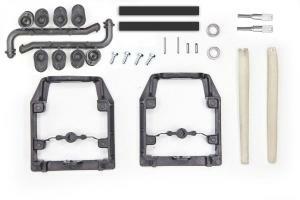 We have fuselage LDS servo frames for JR DS 285 MG and for MKS HV6100 servos in stock. 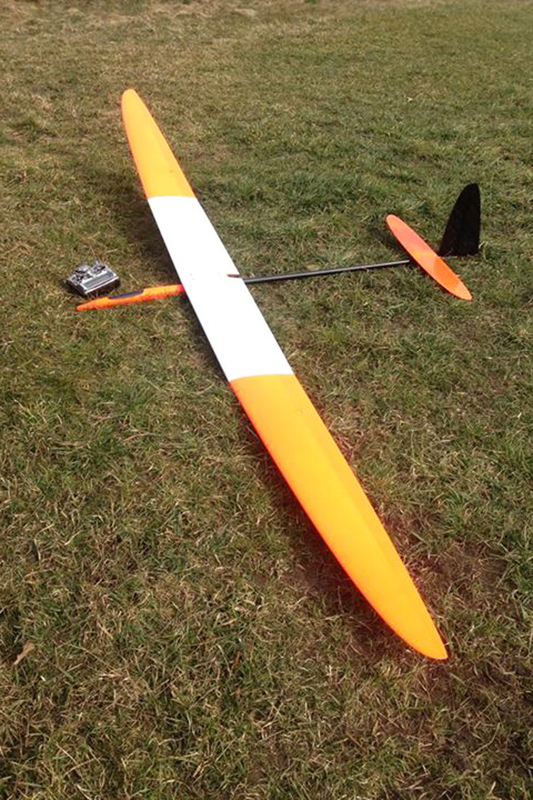 We recommend use light servos with IDS frames for Maxa Pro HM Light F3J ailerons. You can order of IDS system installation for servos MKS HV6100 and JR DS285MG (or JR servo with same case). 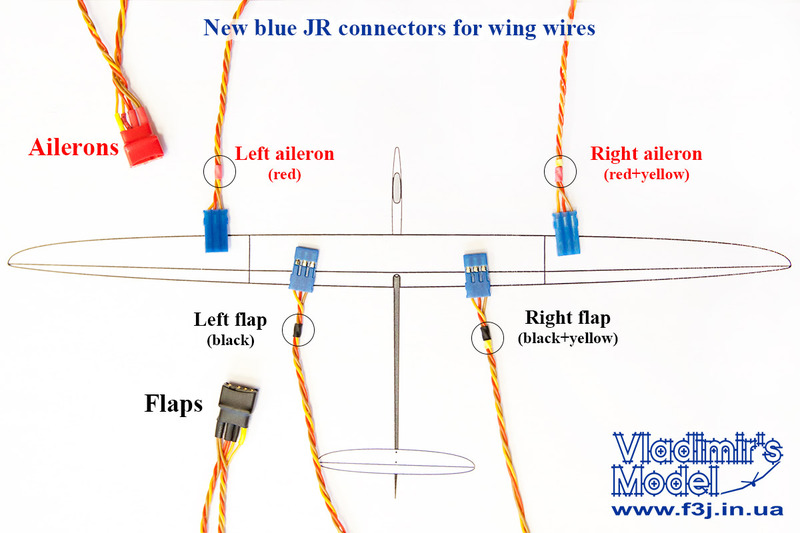 You will need to glue JR DS285MG servo to the tip because we use big IDS servo frame from JR DS189MG servo size. 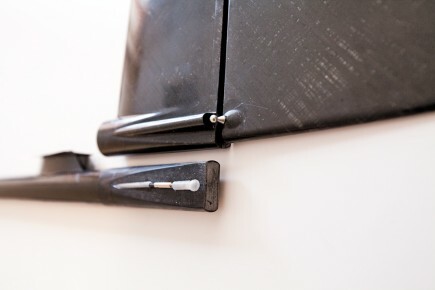 We make one part rod for IDS frame for Maxa wing size specially. 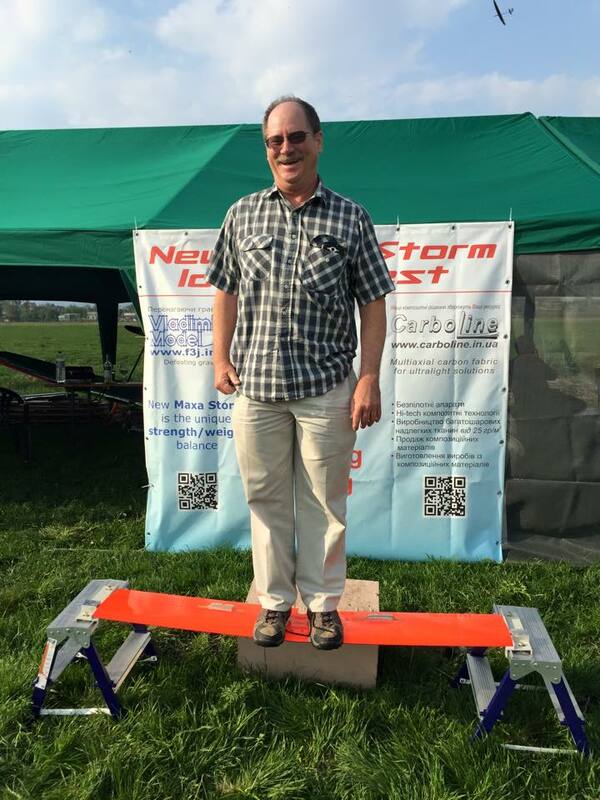 Therefore this system is very light, very strong and very rigid. Maxa spar is glued in a vacuum from the carbon strip and the walls. 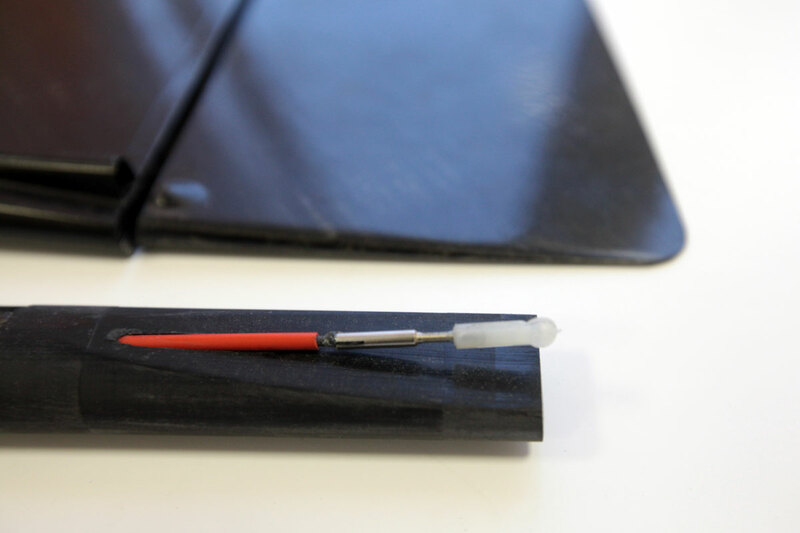 Carbon strip for the spar we traditionally produce by prepreg technology in an autoclave at a temperature of 140C. 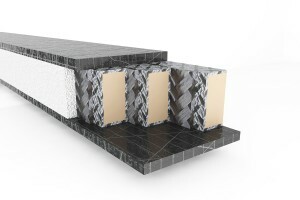 Spar wall made ​​of multilayered balsa plywood, reinforced by Carboline_SC_39_2/45. 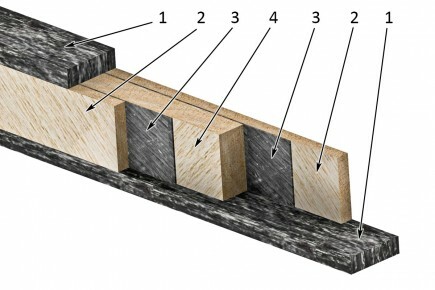 In the spar wall the balsa layer direction is ± 45 degrees. 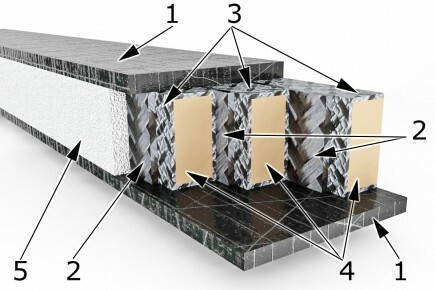 It is notjust respond well the tangential stresses of the spar, but also improve the bonding strength with the spar due to the flow of glue along the wood fibers. width of 11.5 mm - lighter versions spar Light. 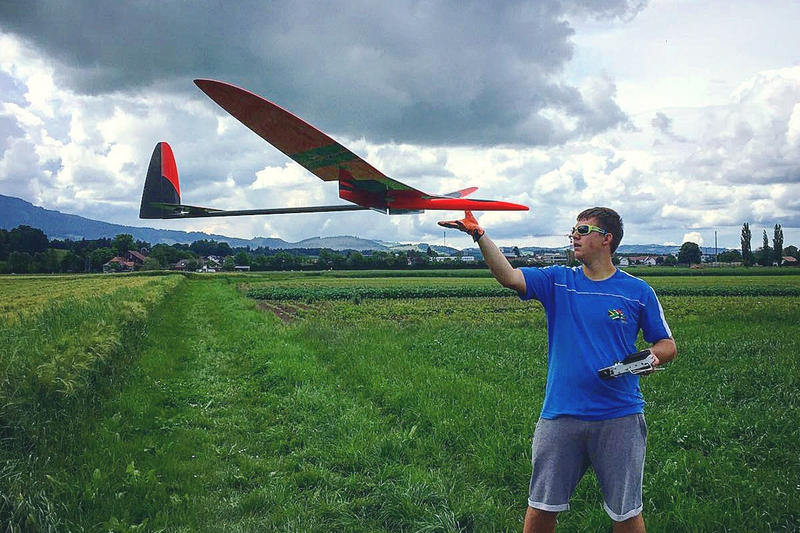 We use full Rohacell core flap to make it ultra light and extra rigid.Balance of rigidity and weight arrangement in the ailerons avoids flutter even at high flight speeds. 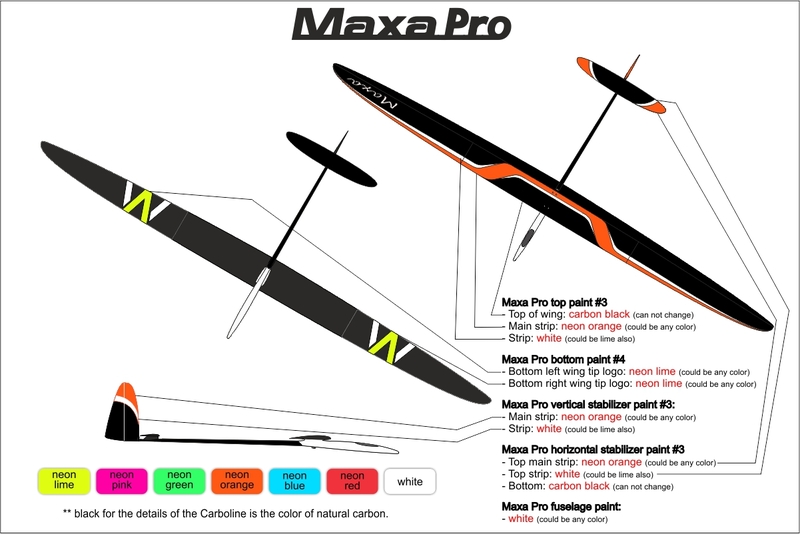 For make Maxa wings light and strong , we use own design biaxial Spread Tow Carbon Fabric “Carboline”. 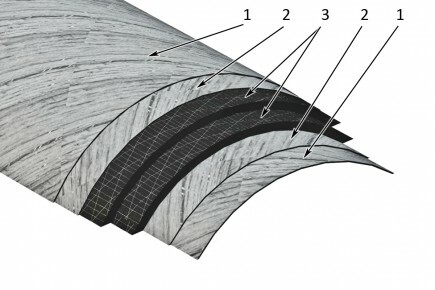 Inner shear web of balsa with direction -45 degree. The rear wall of the wing is of Rohacell with Carboline SC_39_2/45. 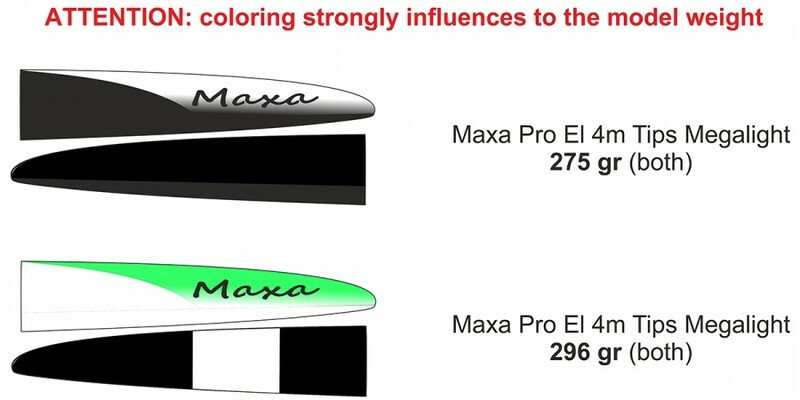 ** - Weight depends on the color. 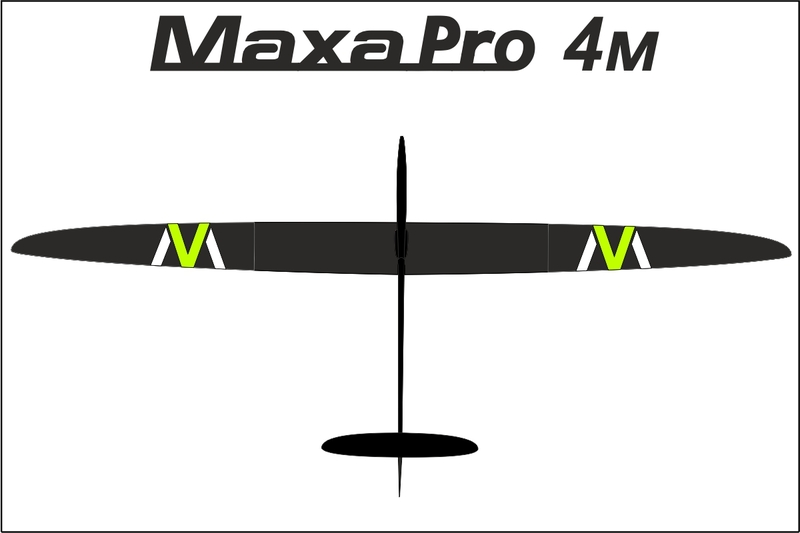 During flights of Maxa Pro 4 m with standard 5-degree wing joiners it was noticed that the model is very inert while maneuvering. 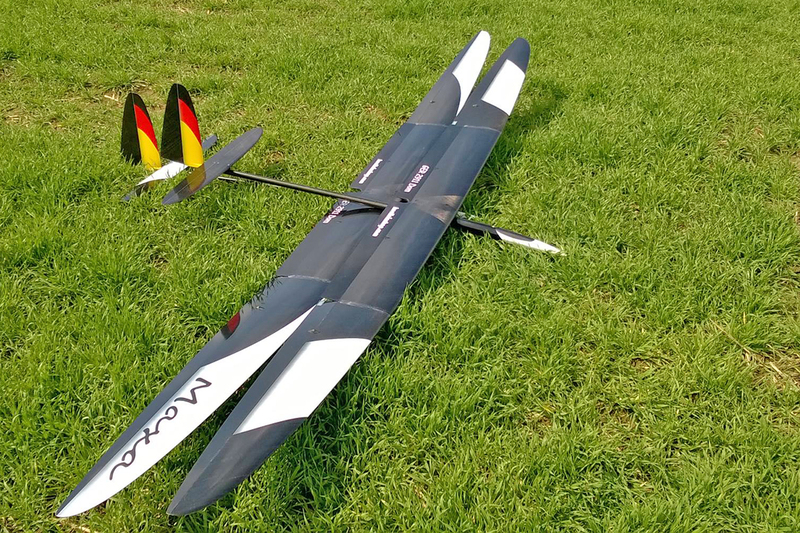 After flight testing of the model with different tip dihedral angles, we managed to find the angle, at which Maxa Pro 4 m ceased to be inert, was well controlled by rudder, but the model was not overmuch stable and “dense” on the course. 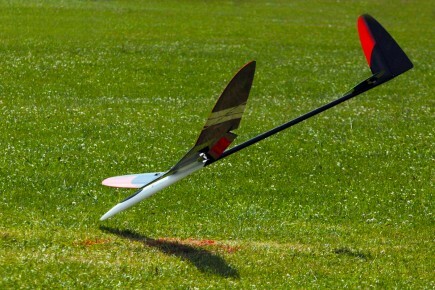 Obtained additional rolling stability makes model more secure when flying at a great distance. 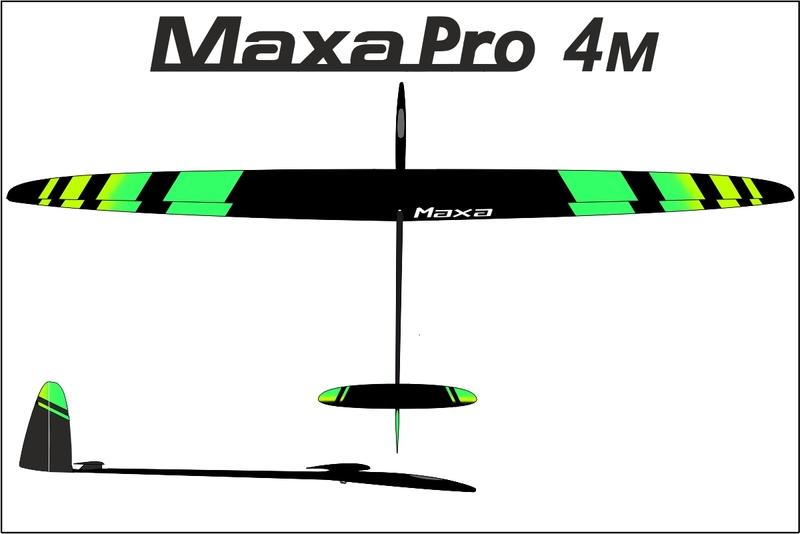 Maxa Pro 4 m with 7-degree wing joiners is now similar to Maxa Pro 3.5 m or Supra as for easiness of control. 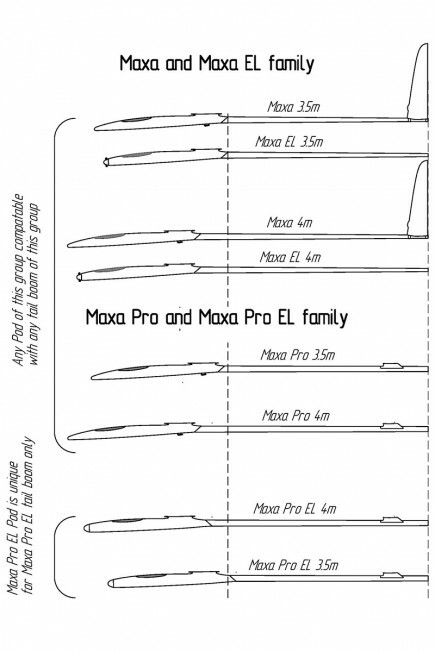 Now the Maxa Pro 4 m kit includes two sets of wing joiners with an angle of 5 and 7 degrees. You could also purchase wing joiners with an angle of 7 degrees for your Maxa Pro 4 m.
The fuselage is attached to the bottom of the wing with 4 screws to facilitate the assembly—you don’t need to turn the plane over, after you plug the wing servo connectors. 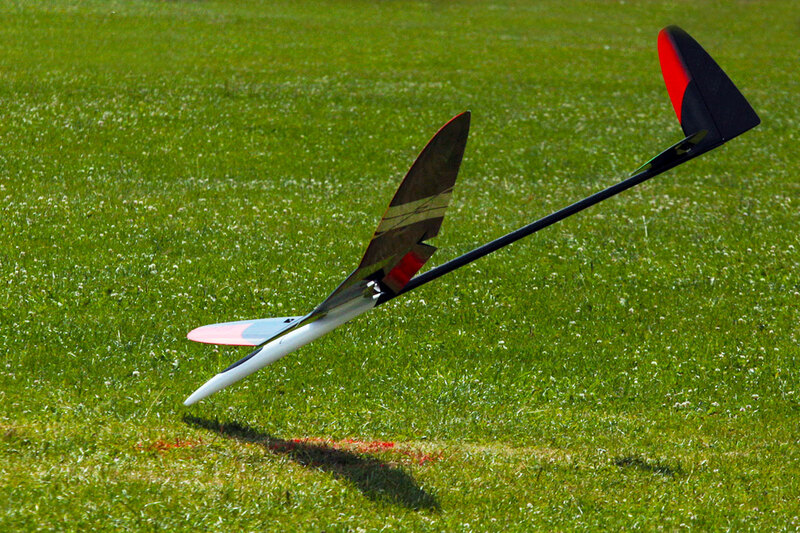 The sharp nose stops the glider at the landing target. 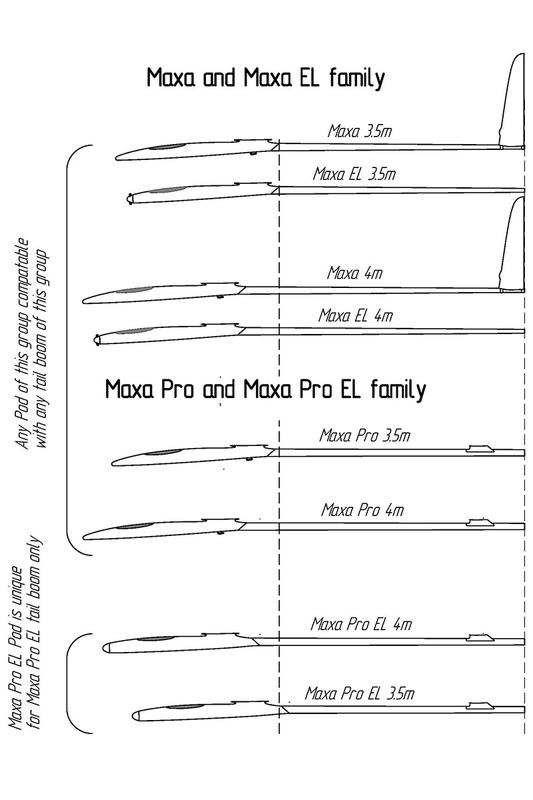 The shape of the tip meets F3J requirements. Maxa ships with the completely assembled pod with tow hook and ballast tube already installed. The tail boom has the pushrod sleeves already installed and the vertical stabilizer glued on. 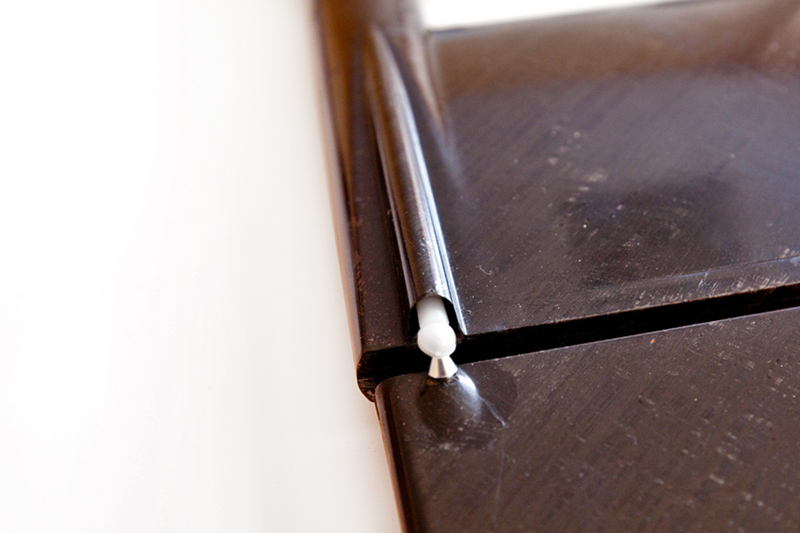 You only need to glue the pod and the boom together. 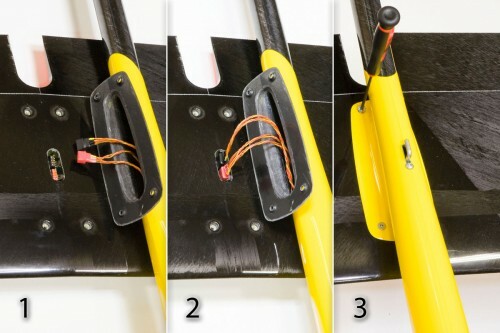 Fuselage servos are installed horizontally, which allows for easy access to the receiver and the battery (see more on the manual bookmark). The front part of the nose is radio transparent made out of kevlar and high modulus fiberglass. 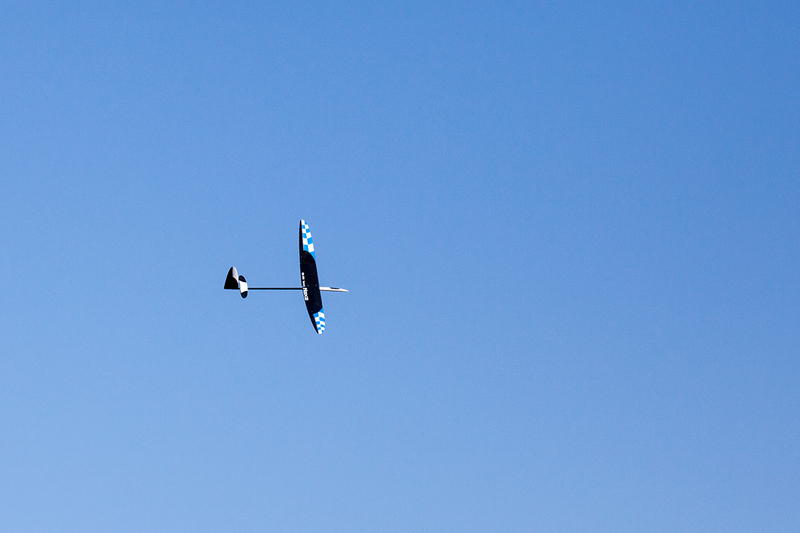 You can place an antenna of 2,4 GHz receiver inside the nose (to the end of the canopy). 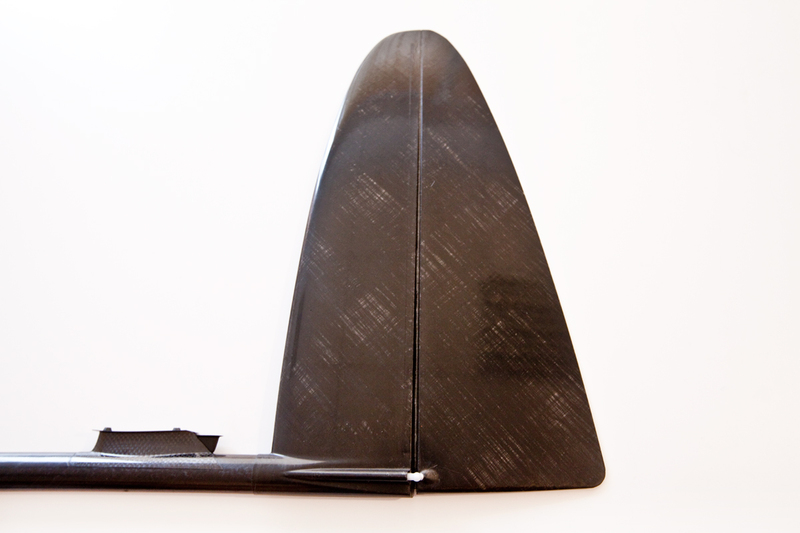 Canopy is made of carbon composite. 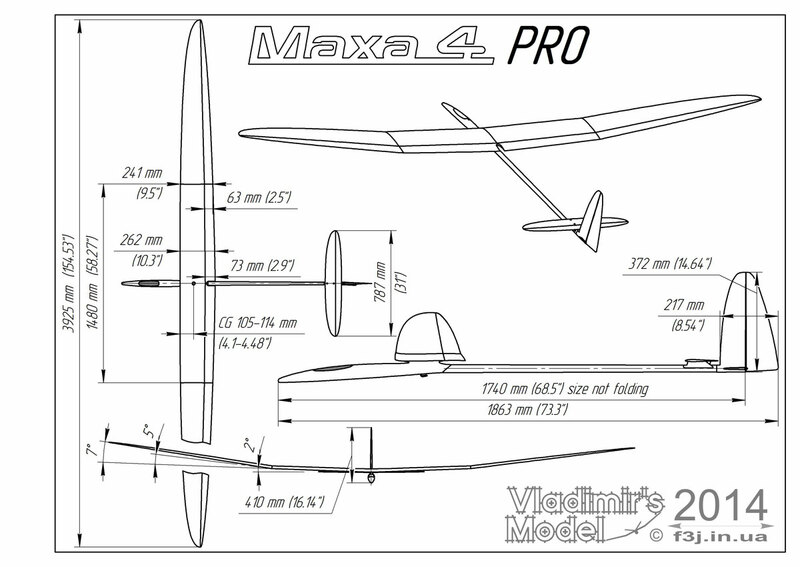 It uses reliable mounting latch design proven in many Vladimir’s Model planes: Supra PRO, Supra Electric, Blaster 2 Electric, Sprite, Graphite 2 Electric. 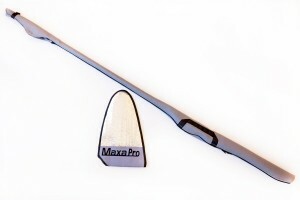 New elliptical shape Maxa Pro boom is two times stiffer than the usual roundone. The tail boom is narrowed at the end to the thickness of the rudder for reduce aerodynamic drag. 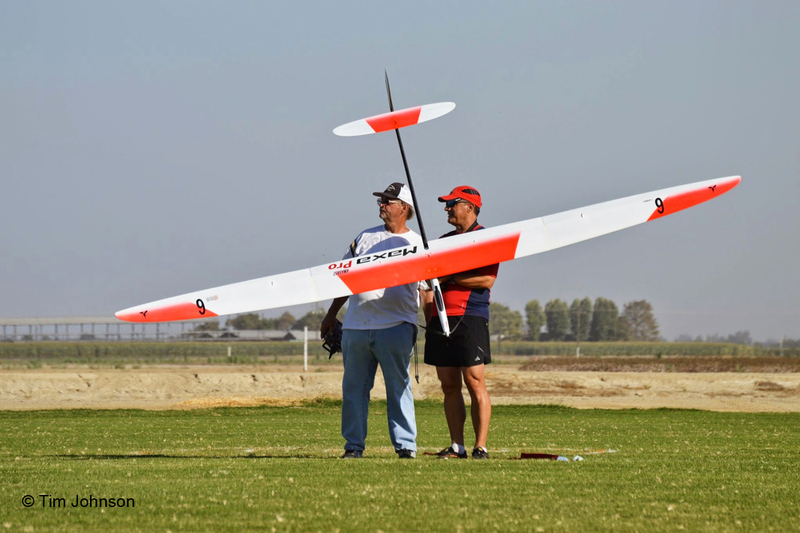 The Tail Boom is made from thin carbon Spread Tow laid at +45 degree (1) and -45 degree (2) bias. 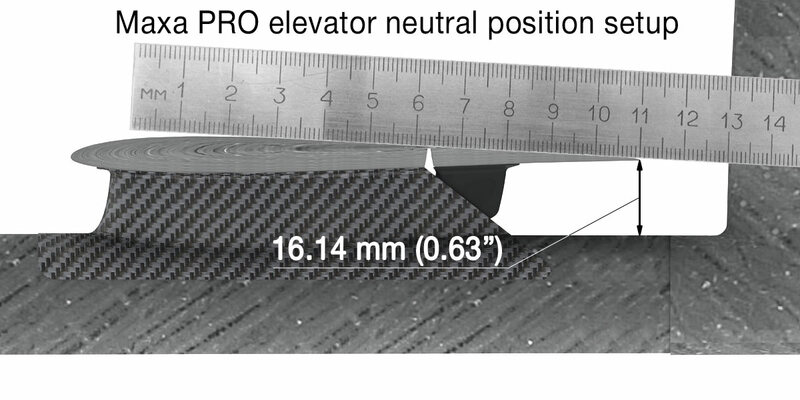 Between the Spread Tow layers, there are 2 layers of unidirectional high strength carbon fiber (3). 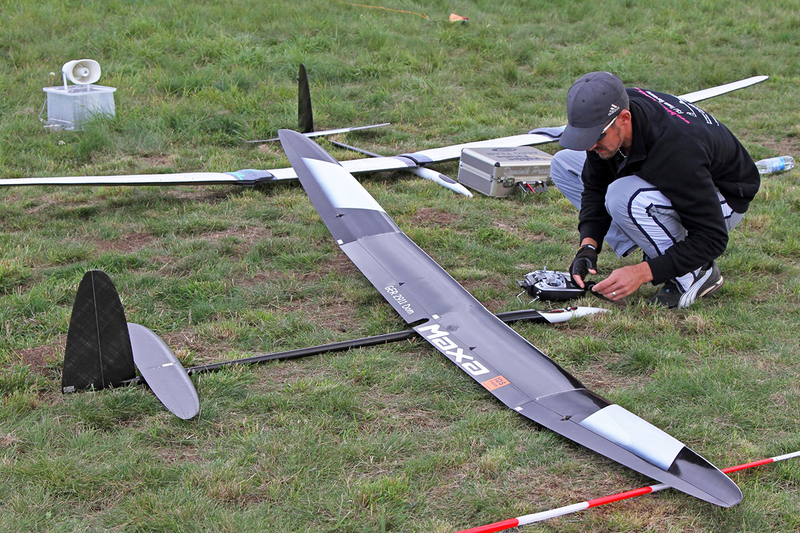 The stabilizer pylon is glued to the tail boom Maxa Pro and the pushrods are installed already. 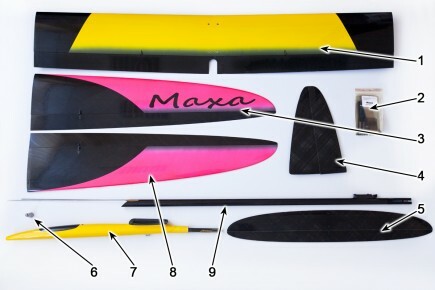 Fin and stabilizer fitting are suitable for any Maxa Pro tails. 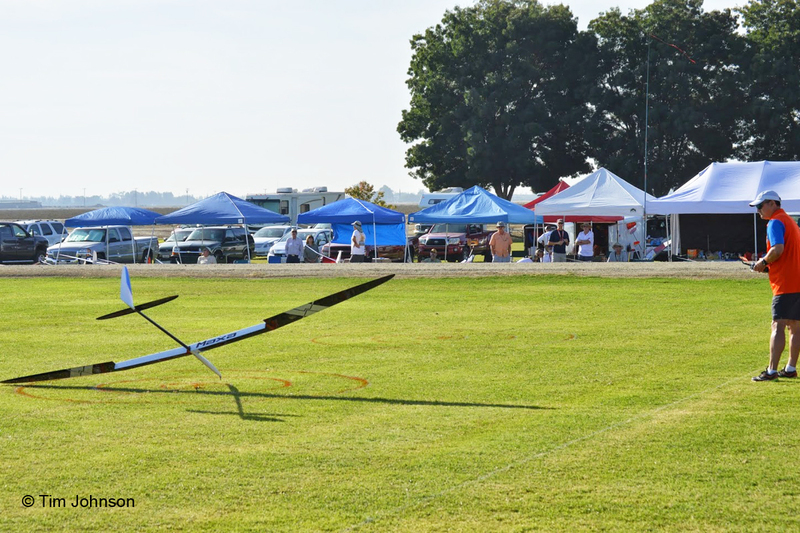 The tail boom must be glued into the fuselage, putting on a mid-range gap (boom / fuselage) for right stabilizer/ wing position. 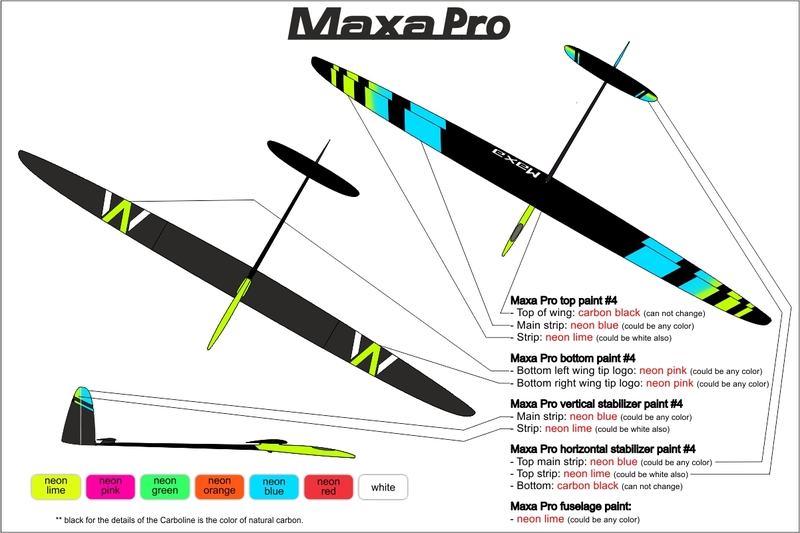 Maxa Pro tail construction is Rohacell solid core covering of new ultralight Carboline 26 g/m². 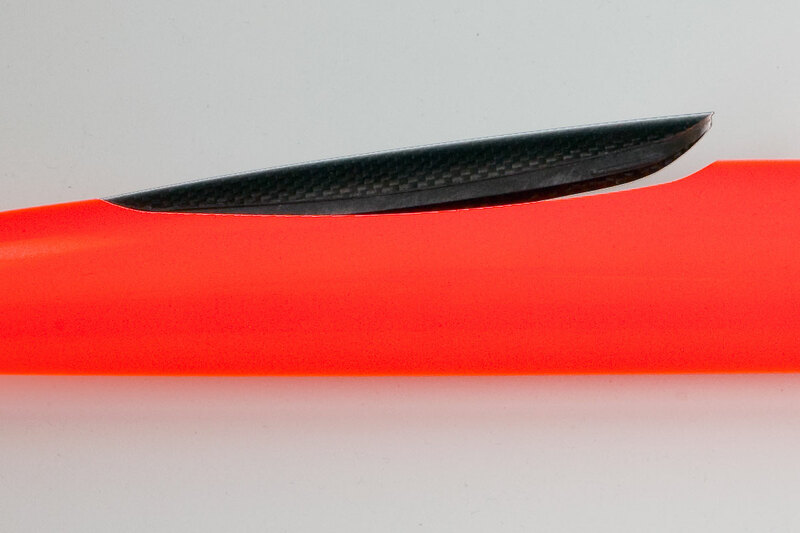 Carbon spars is laid to the slots in the core. 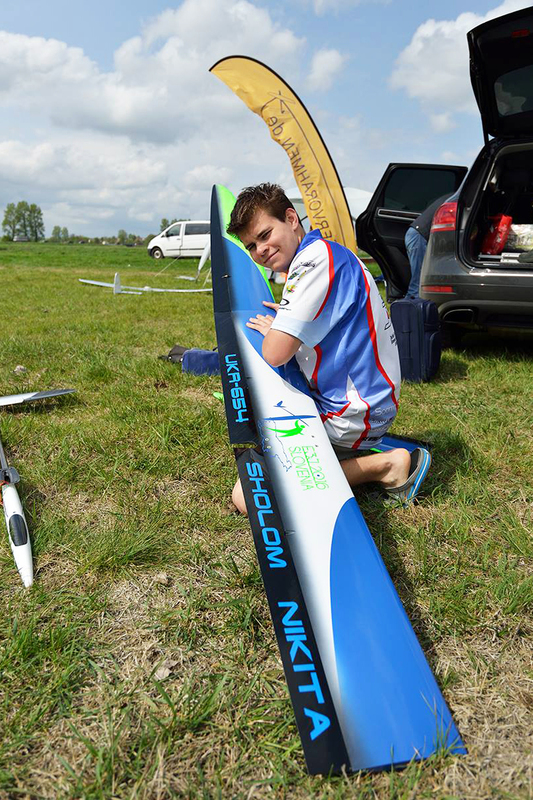 Carbon rowing for the spars is pre-stretched and uniformly impregnated into the machine. 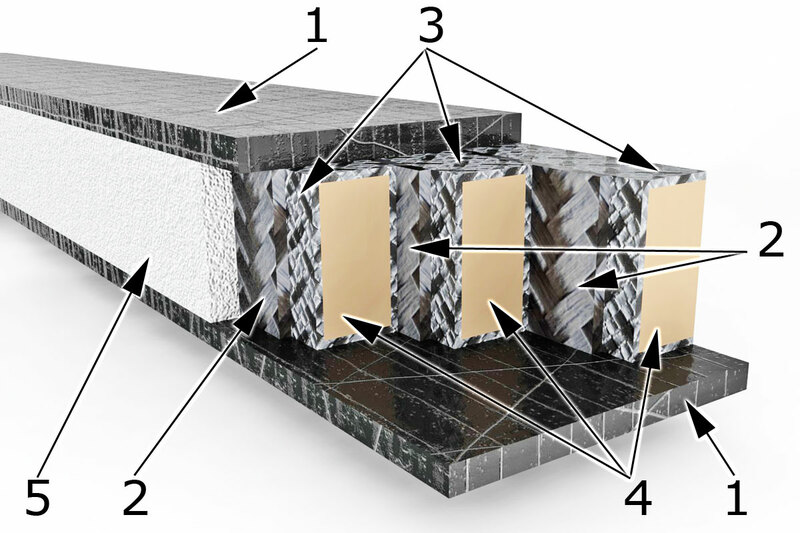 The spar wall of Carboline is integrated to the Rohacell core. 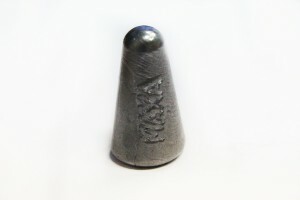 Cone stabilizer/pylon fitting provide accuracy and high rigidity stabilizer installation. 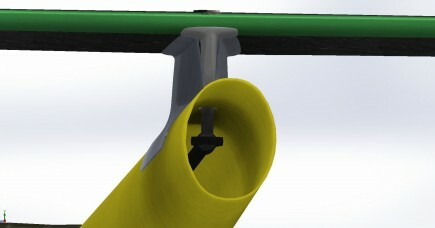 The elevator horn is aerodynamic continuation of the stabilizer pylon. 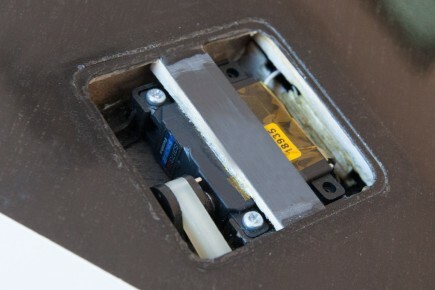 It is screwed by two screws M2x10 when stabilizer will be installing to the fuselage. 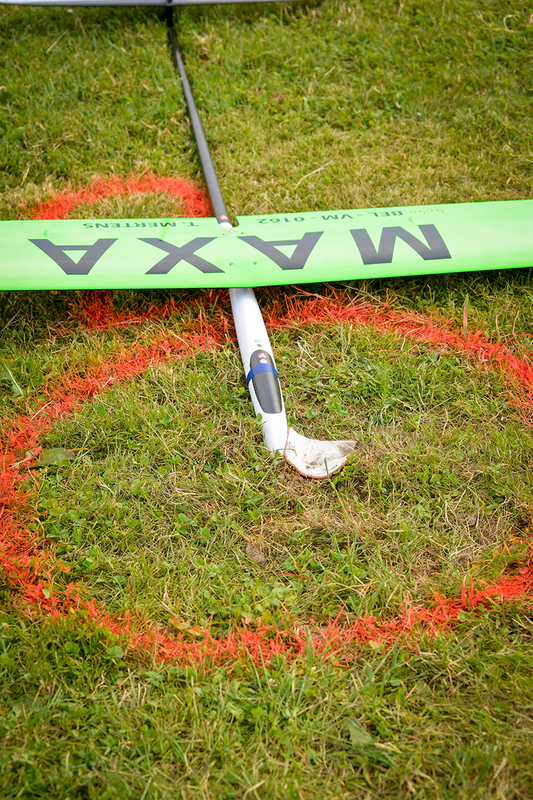 The fin is fixed on the tail boom by rigid adhesive tape. 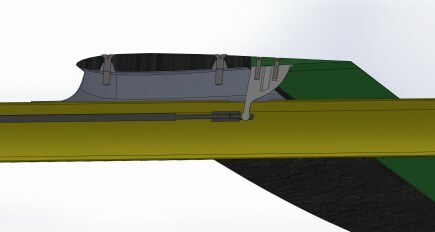 The rudder rod is hidden under the fairing. Spherical rod ends for rudders and elevator provide high stiffness control system. 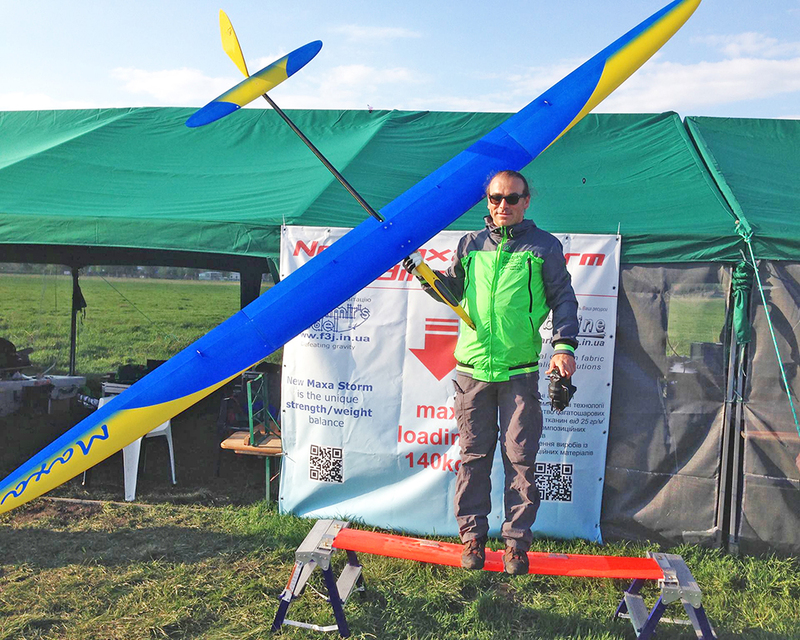 Маха Pro is a novelty of the 2014 year. 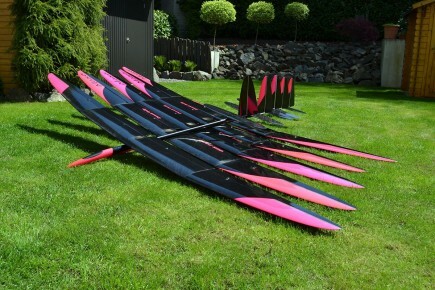 It is based on the using of wings Maxa 3,5 and Maxa 4, well-proven since 2011. 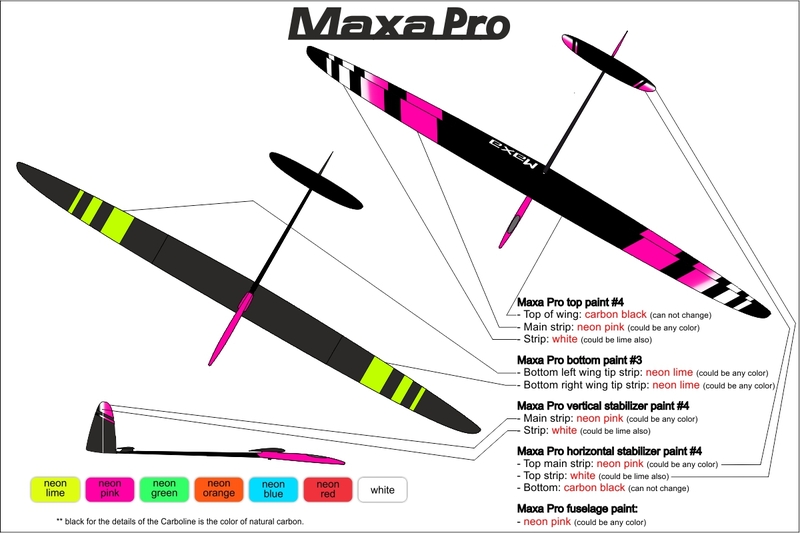 Unique aerodynamic characteristics, developed by multiple world champion Joe Wurtz, provide easy control, perfect thermaling, great wind penetration and sensitivity to the lightest thermal even for the heaviest strongest version of Maxa Pro. 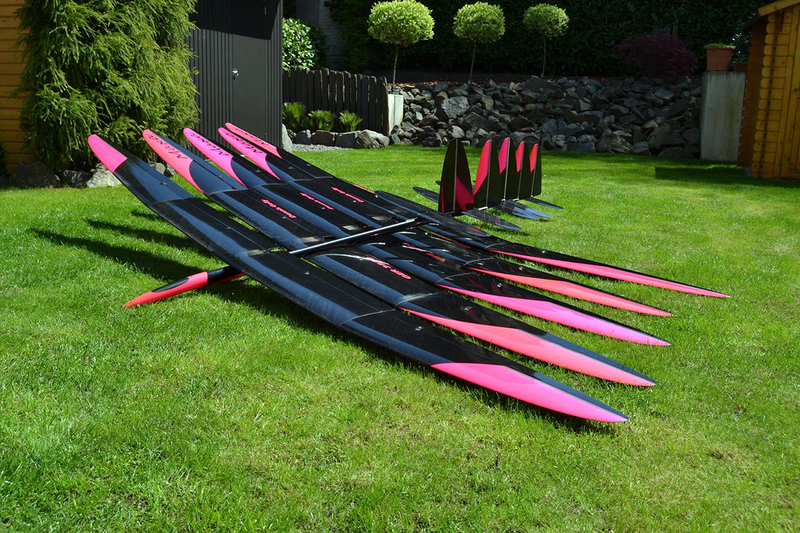 Continuous optimization of wing design using the newest materials allowed to expand the range of wings from Maxa Megalight for electric version to high-strength for version Maxa 4 Storm. 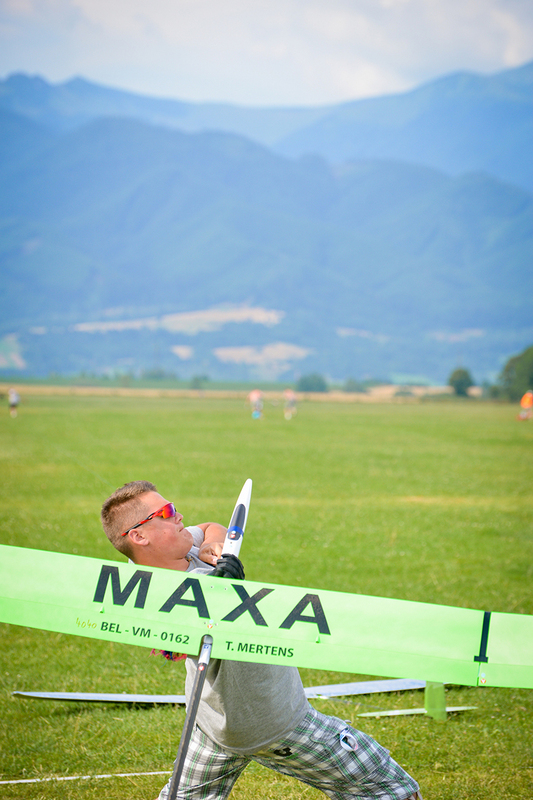 We have developed a new ultra-rigid and light Maxa Pro version for expert pilots in 2016. 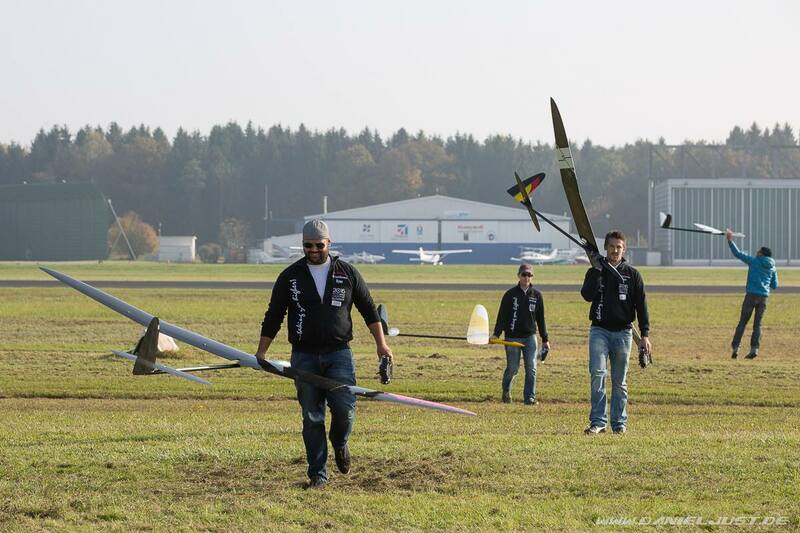 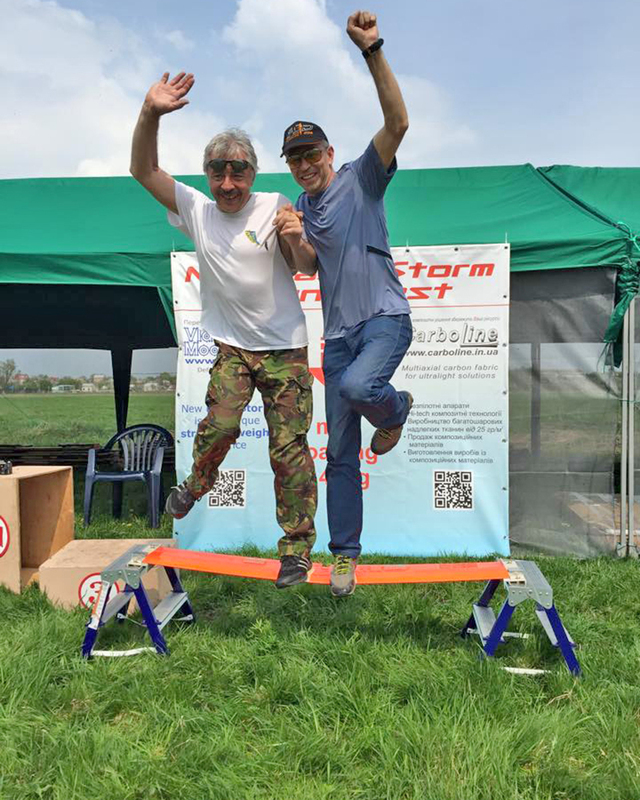 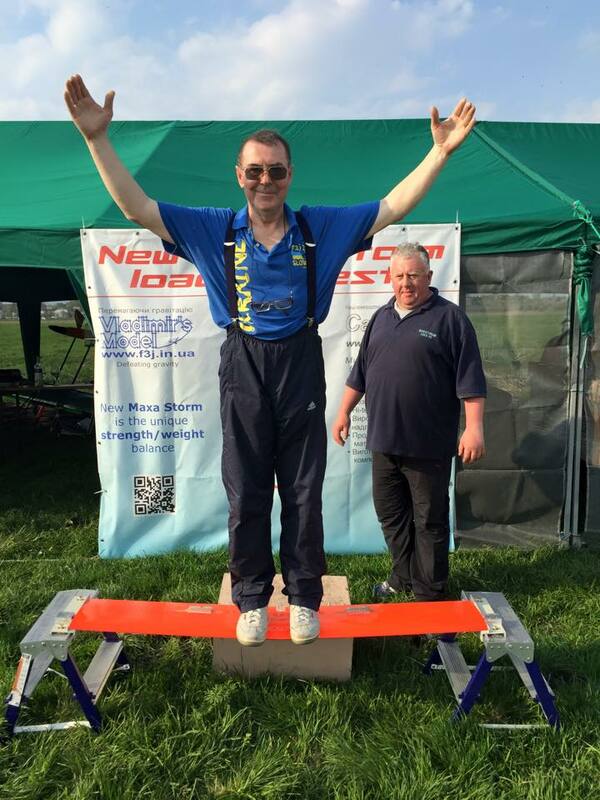 We have perfected flying characteristics and construction of all parts of Maxa model, during our preparation for the F3J World Championship 2016 in Slovenia. 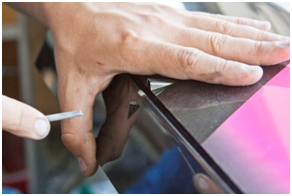 Our meticulous work result is the new construction of Maxa wing. 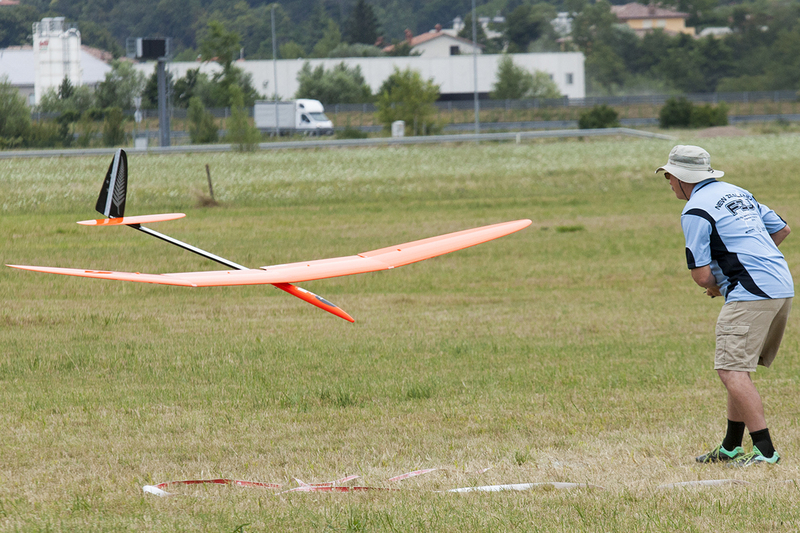 The aim of the renovation was the reduction of the weight, improvement of the durability and rigidity of the airframe. 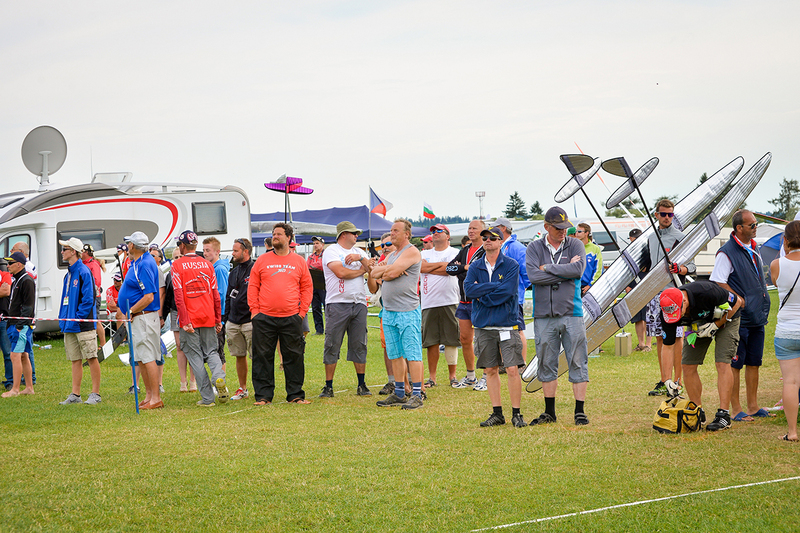 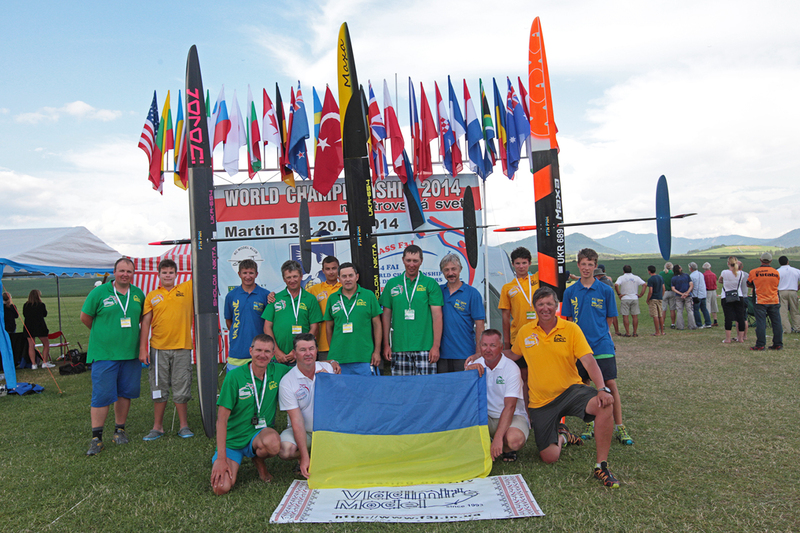 New models were successfully tested by New Zeeland, Germany and Ukrainian teams. Maxa Pro Light HM F3J – is the unique extra light and extra rigid glider. 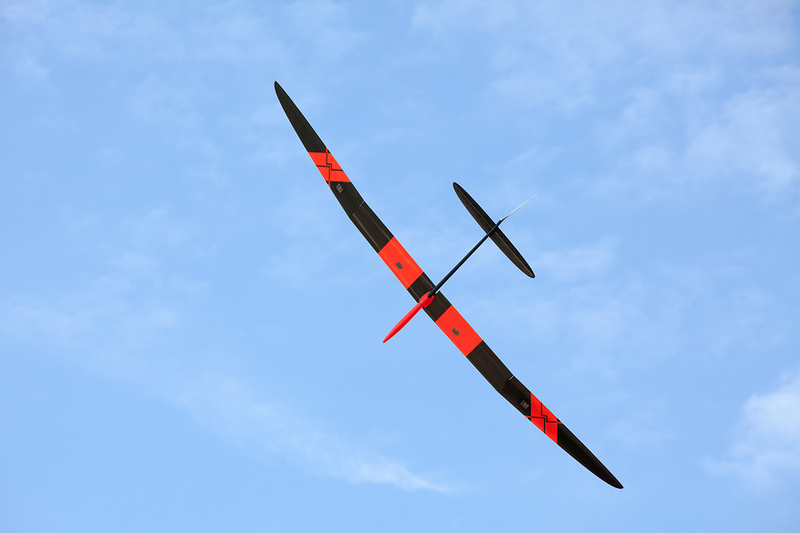 Its ultra-high module spar with lightweight construction and rigid sandwich provide the highest F3J launch when wind speed up to 4 m/s. 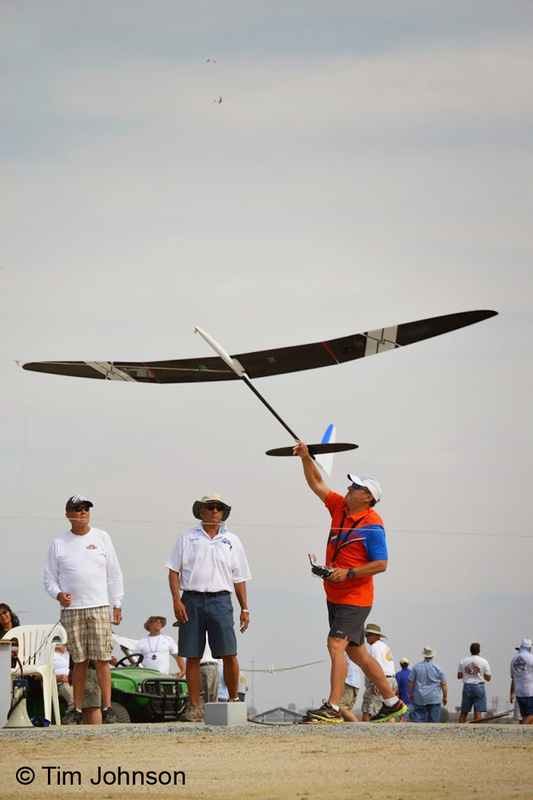 Ultralight flying weight allows handle even very weak bubble. 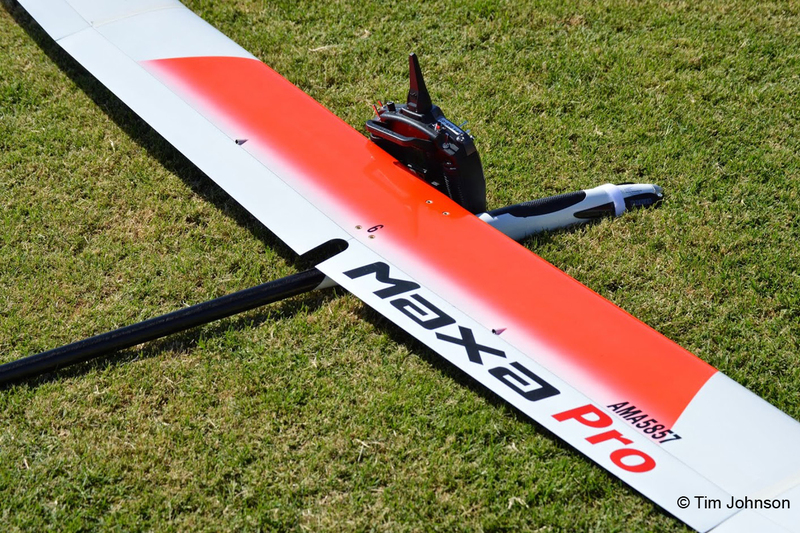 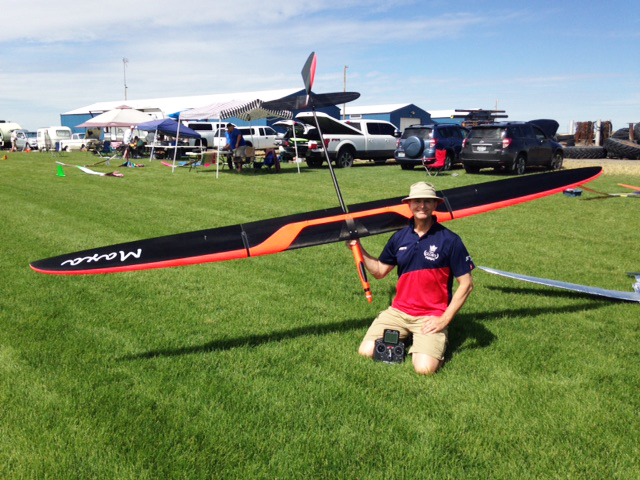 Maxa Pro Windy HM F3J- is the new light and ultra-rigid version of the all-weather glider. 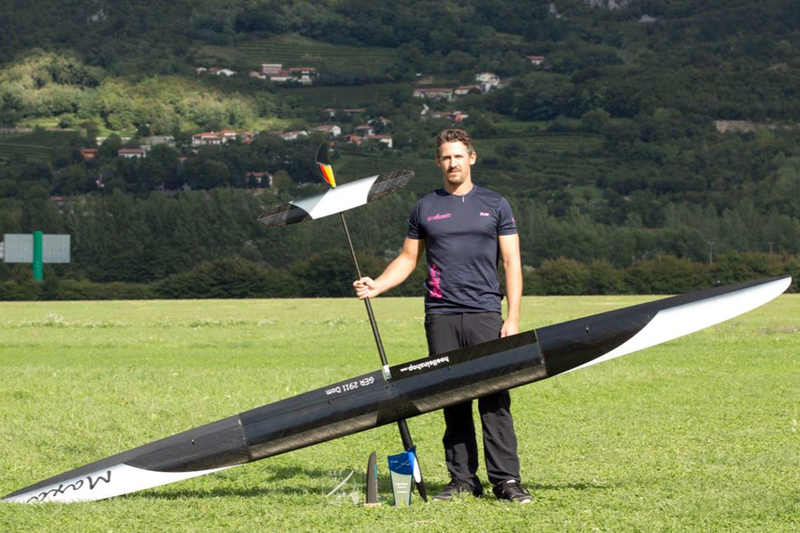 Ultra-high module spar guarantees the highest launch at wind speed up to 8 m/s. 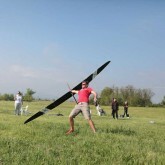 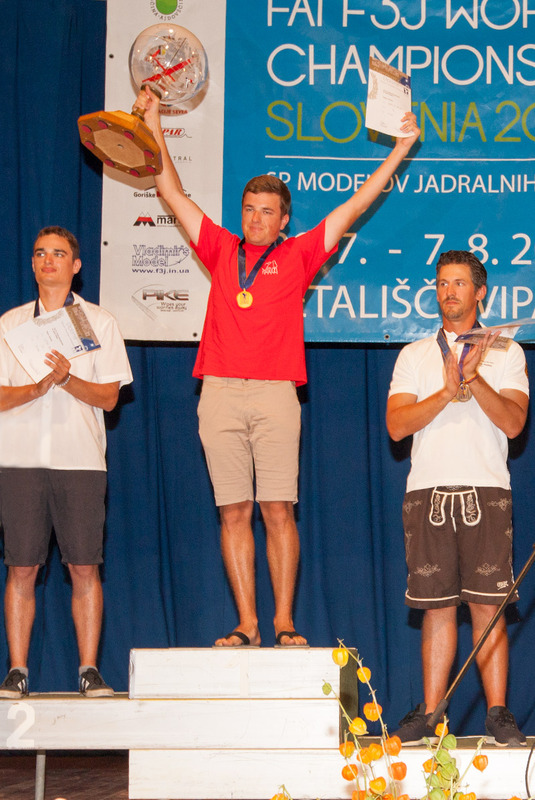 Light flight weight allows to win even when float condition. 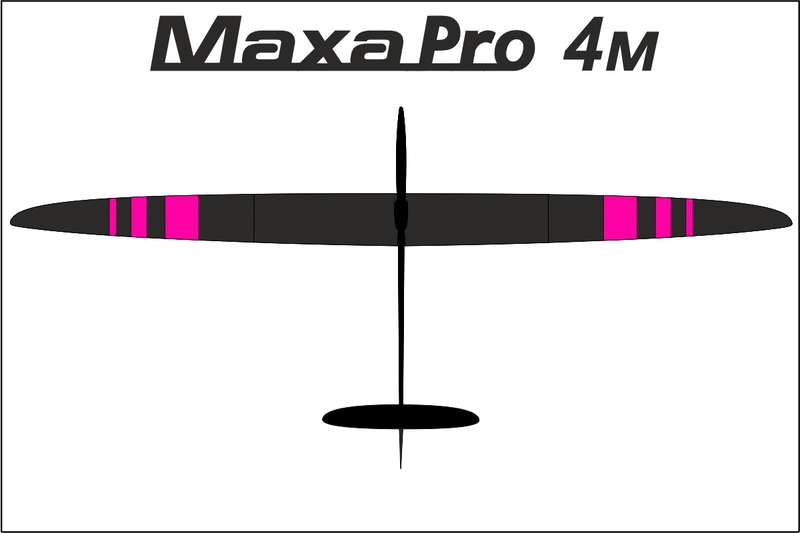 Maxa Pro 4 m Hard - light version of Maxa Pro 4 Storm. 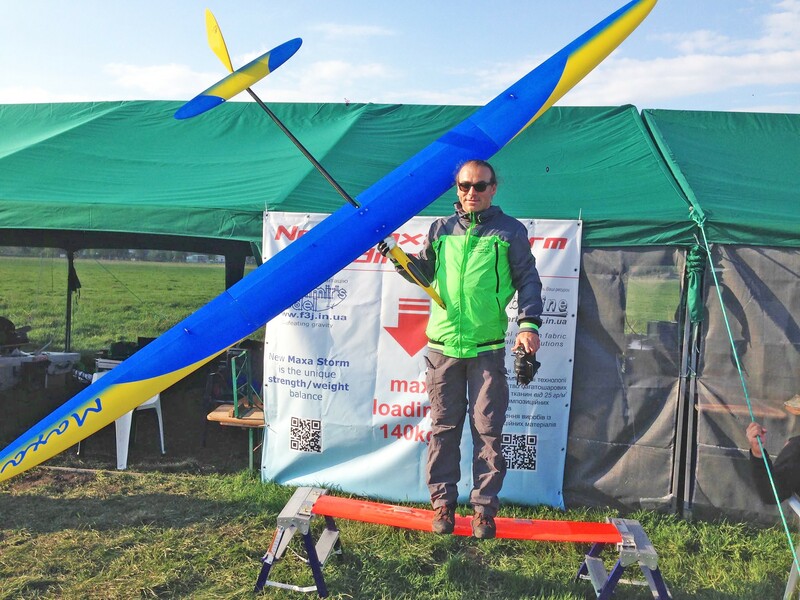 The glider is strong enough for the wind speed up to 11m / s. Flight weight from 2100 gr provides sensitivity to light thermals and ideal control of the model during really windy condition.